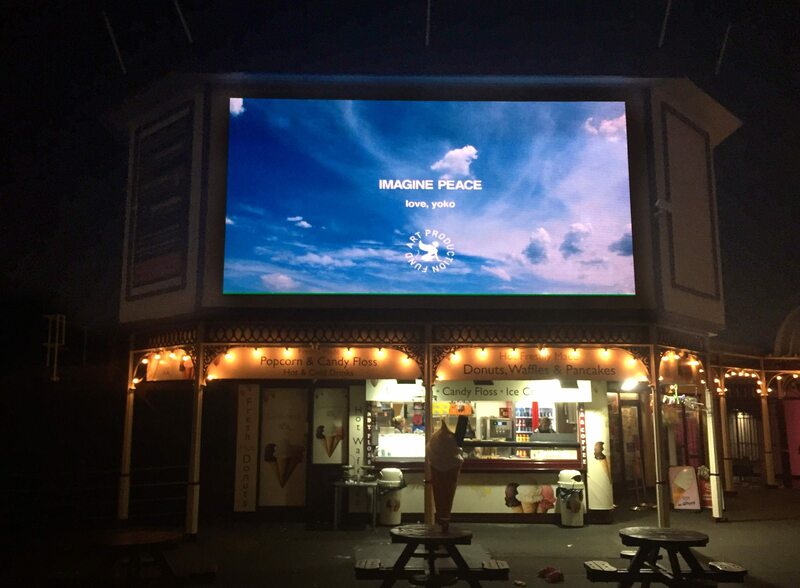 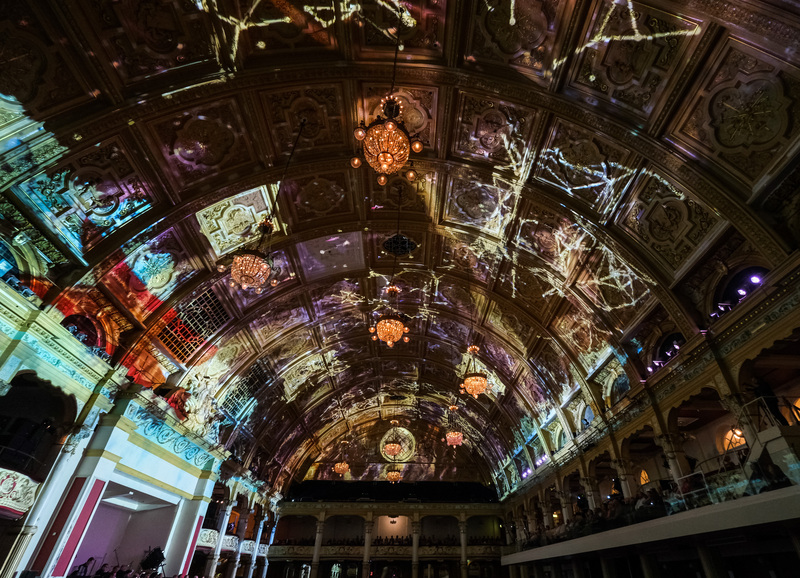 In 2016, I was inspired by Czech digital-art collective the Macula, to create an illuminated, immersive spectacular in Blackpool. 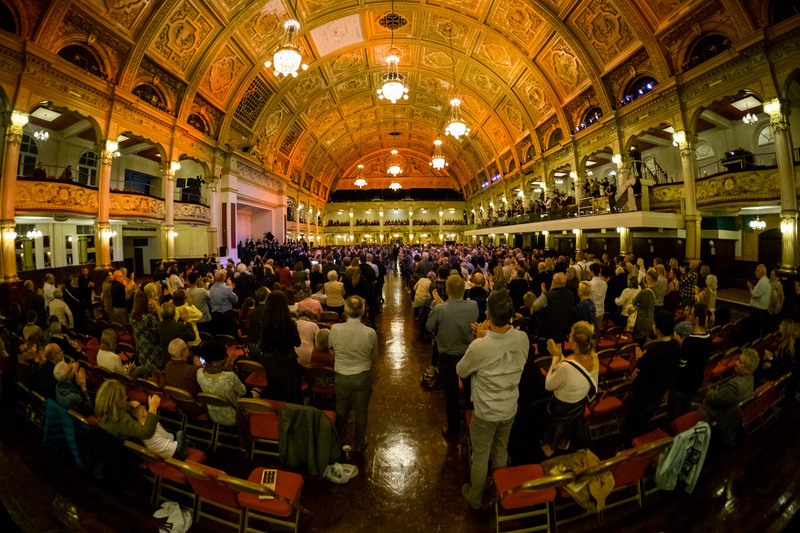 On 18th October 2018, to a full house, we transformed the iconic Empress Ballroom in Blackpool into a giant canvas, with international teams of animators creating bespoke 2D and 3D animation to a full orchestral live programme, including Barber's Adagio for Strings and Britten's Four Sea Interludes from the opera Peter Grimes. 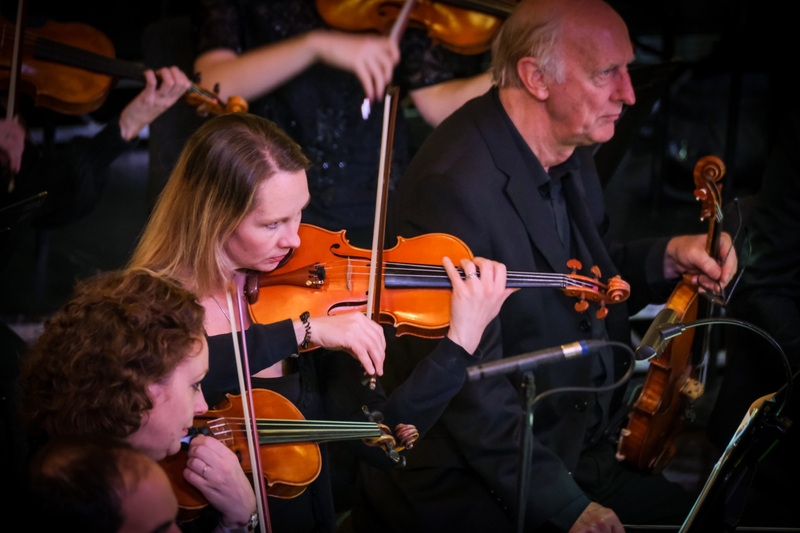 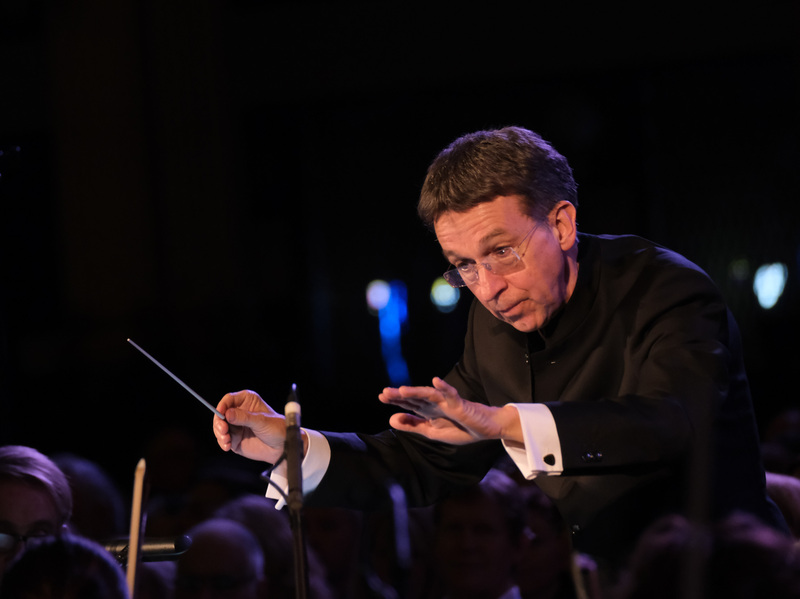 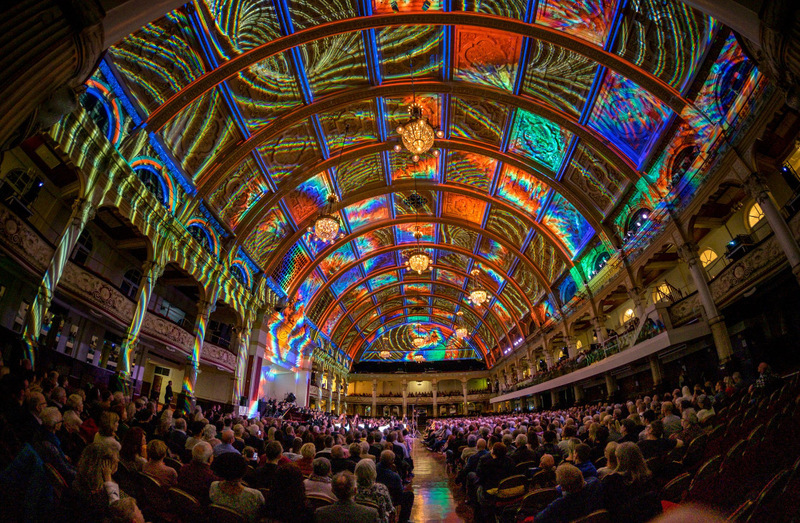 Light Odyssey was a ground-breaking partnership with BBC Philharmonic, QED Productions, the Winter Gardens in Blackpool and Guildhall School of Music and Drama. 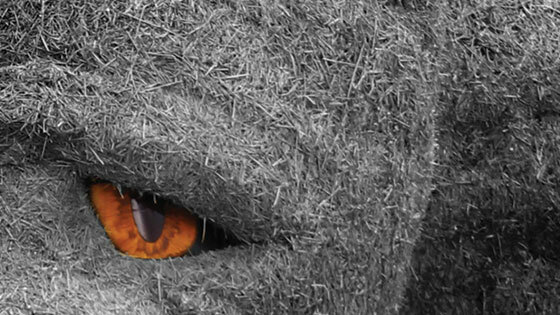 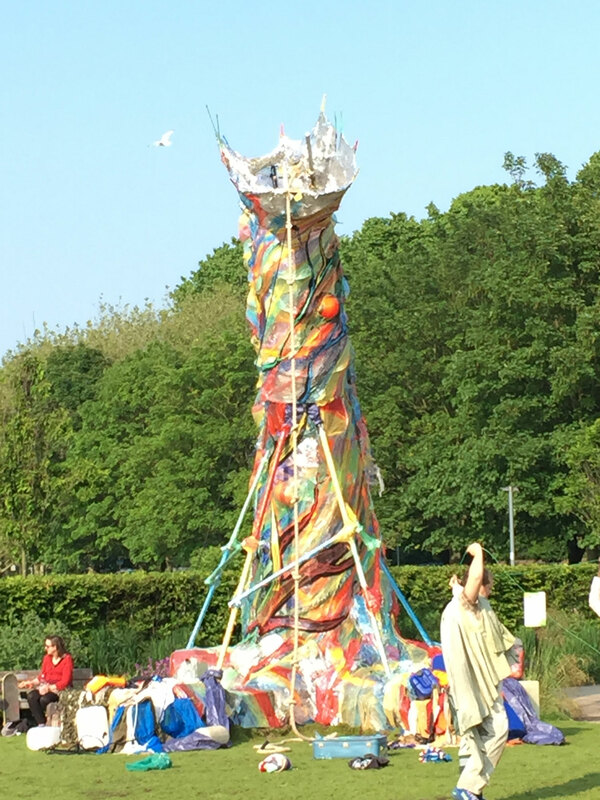 It was made possible with support from Arts Council England. 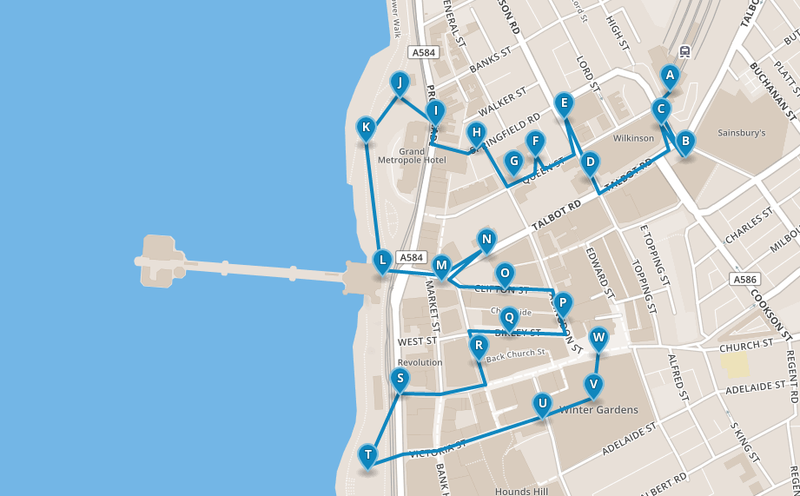 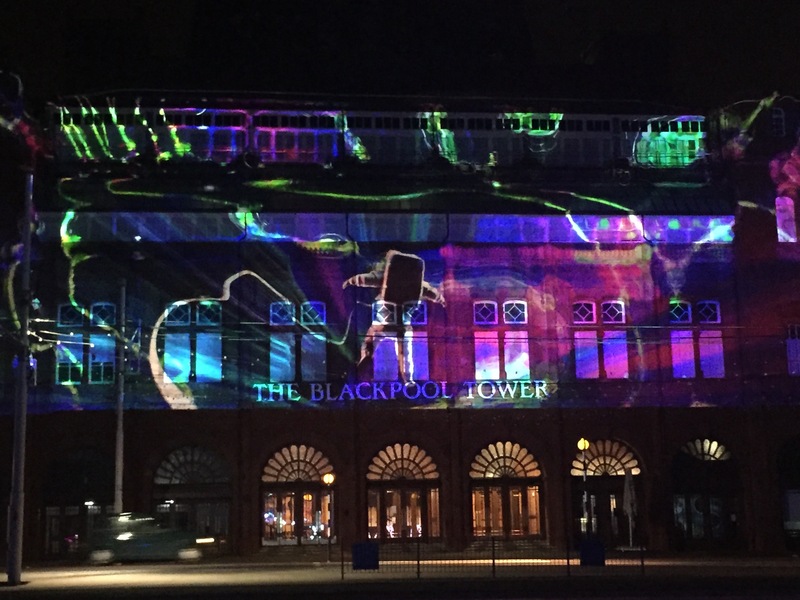 Images: VisitBlackpool. 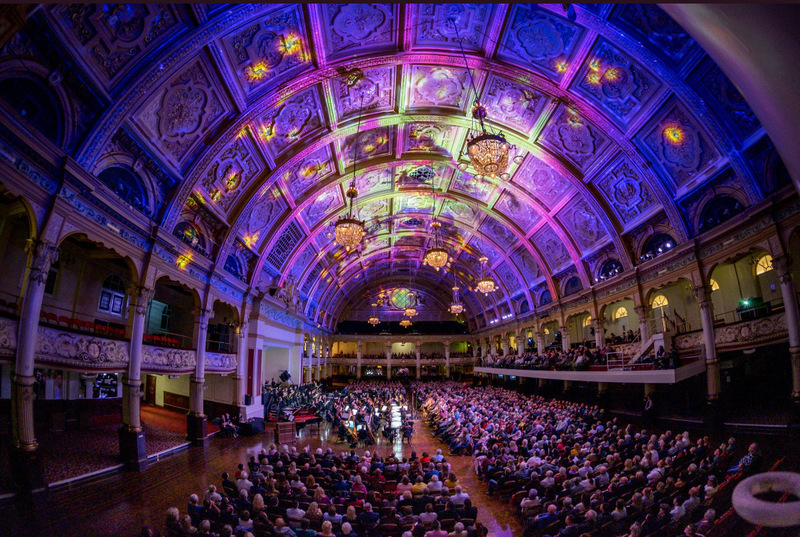 BBC Philharmonic Light Oddyssey at Blackpool Winter Gardens Empress Ballroom. 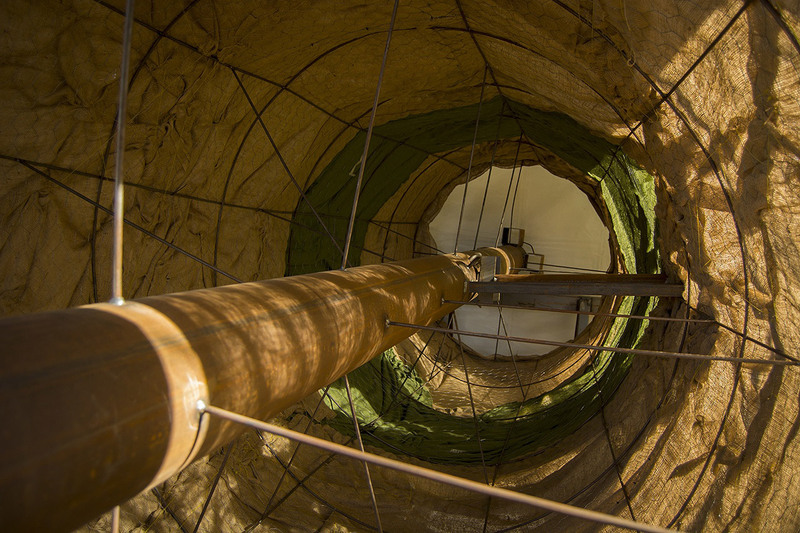 I am pvi's inaugural artist-in-residence, looking at the challenges of making large-scale outdoor participatory work. 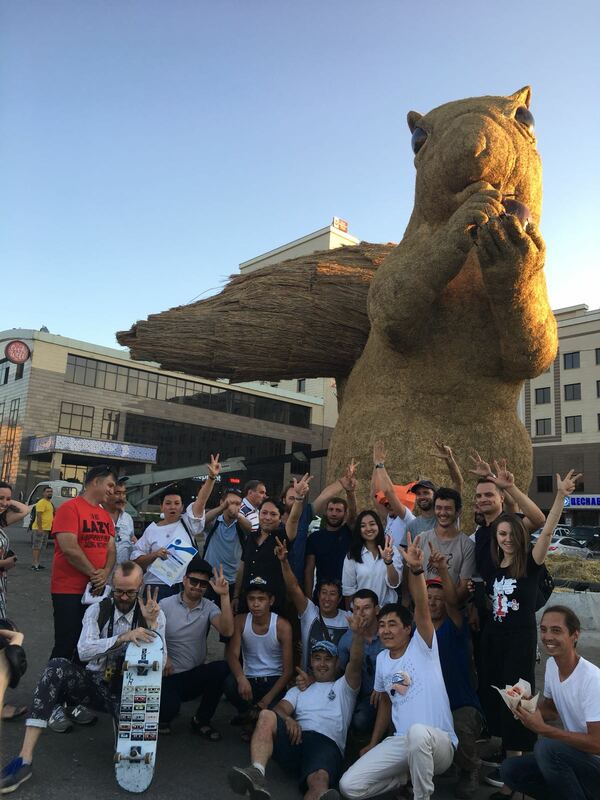 I spent a month with them in February, and am returning there in November. 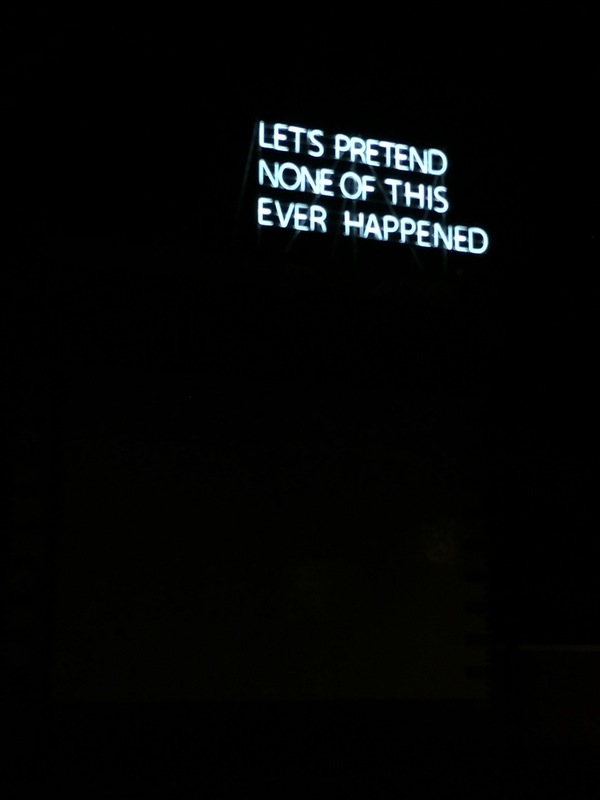 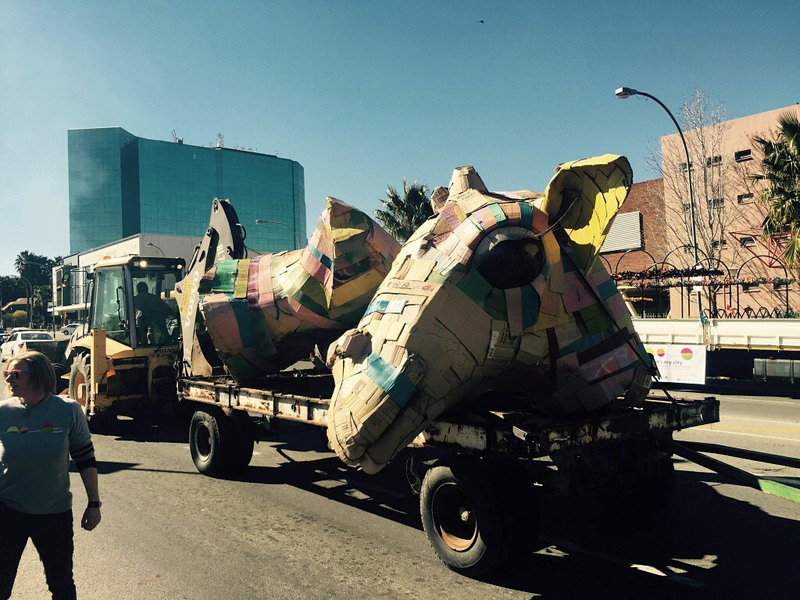 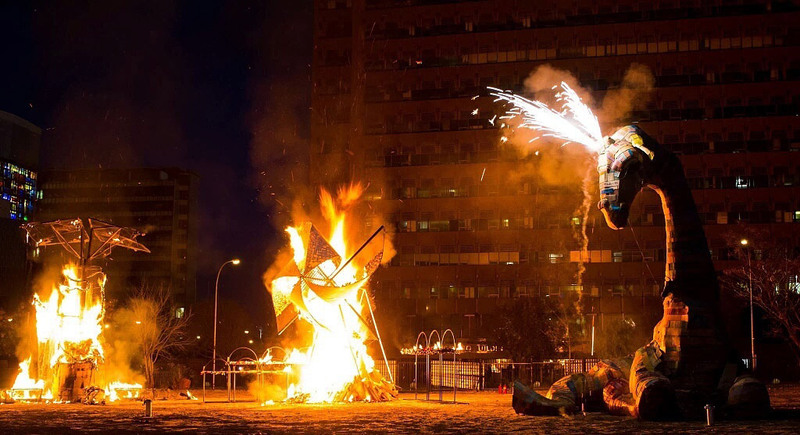 pvi collective create agitational, participatory artworks that are intent on the creative disruption of everyday life. 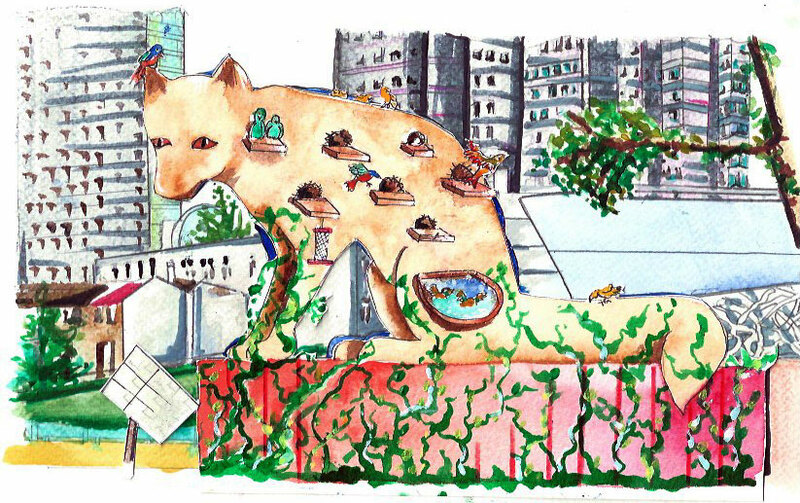 Every artwork aims to affect audiences on a personal and political level and is geared towards instigating tiny revolutions. 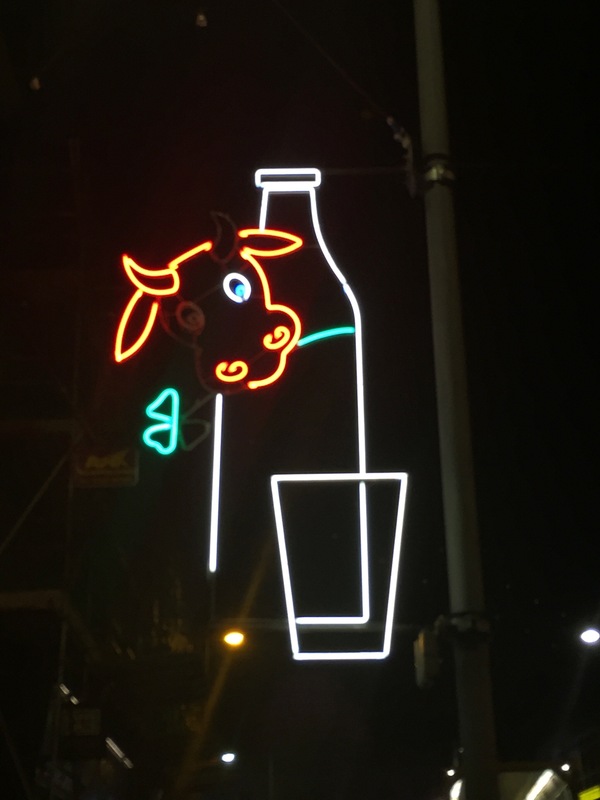 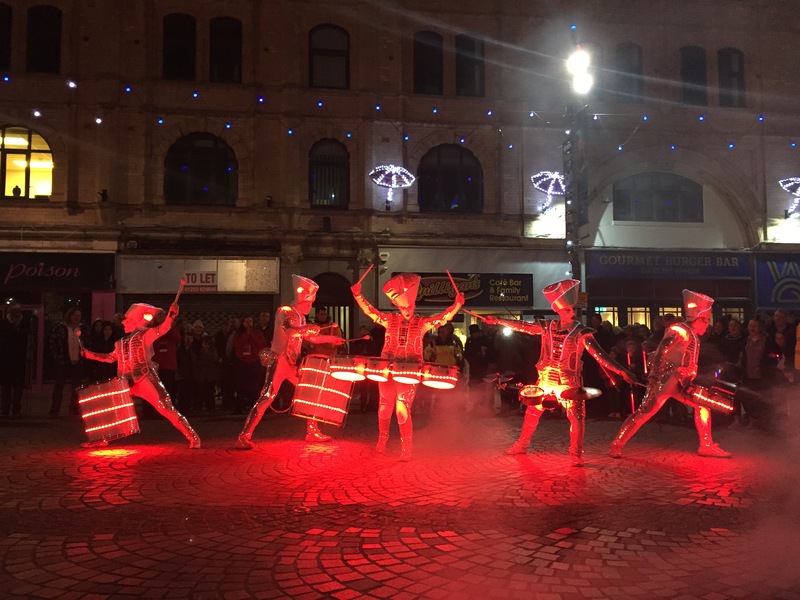 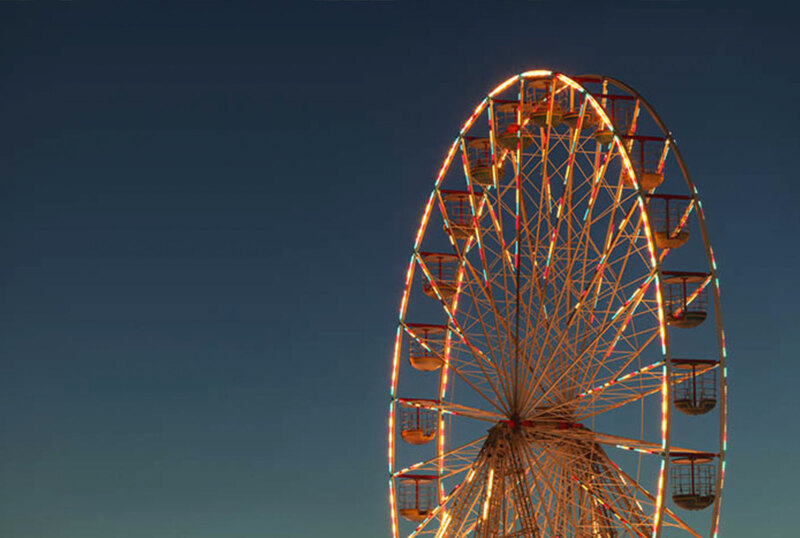 In 2017 Blackpool became the newest member of the Light Up the North network (LUTN), an Arts Council England-funded network for the seven northern light art festivals. 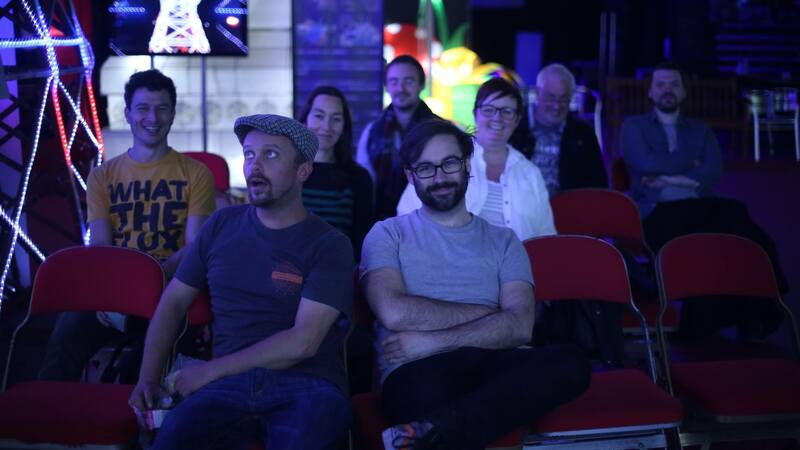 From this I set up the LUTN Light Lab – a creative lab for selected northern artists to meet each other and develop new work to be toured regionally, supported by additional funding from ACE. 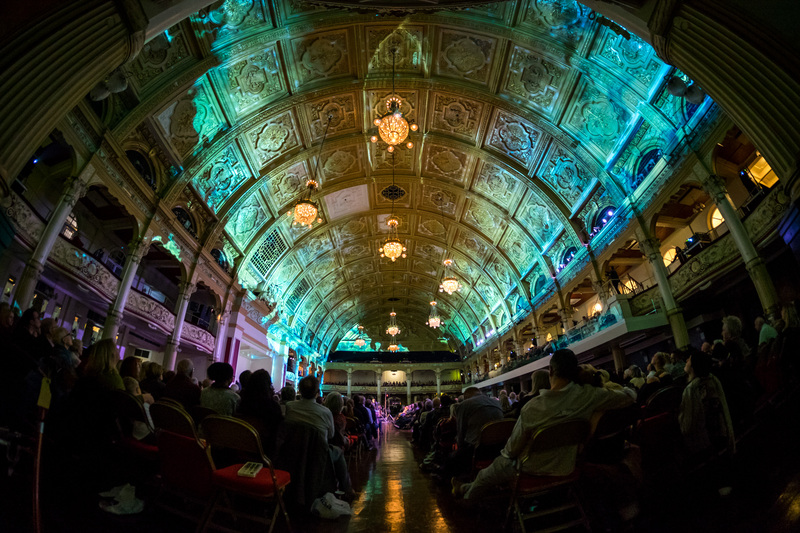 2017 marked the inaugural lab, with 8 artists, nominated by each of the festivals, attending two week-long residential seminars in Blackpool, ten weeks apart, that I facilitated. 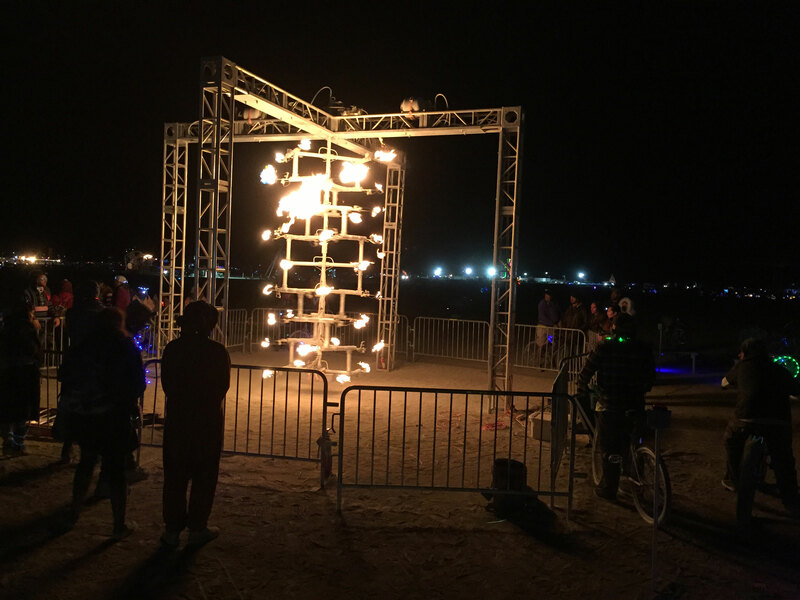 The artists received honoraria for participating, and a budget for new materials, with the aim of developing new, regionally-based light work that might tour. 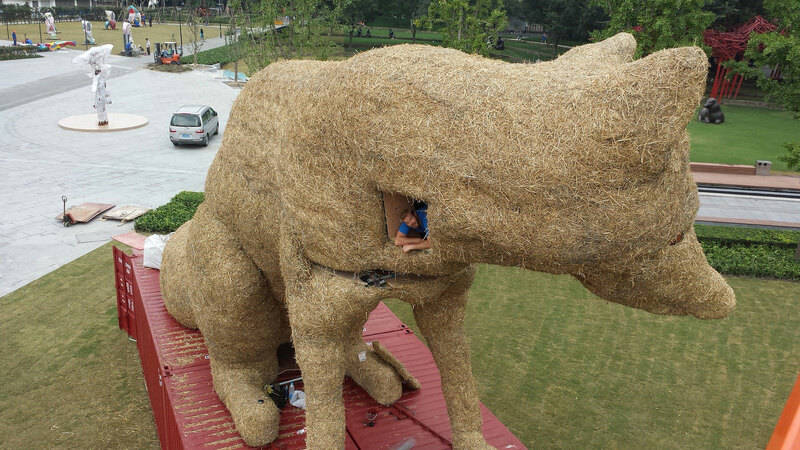 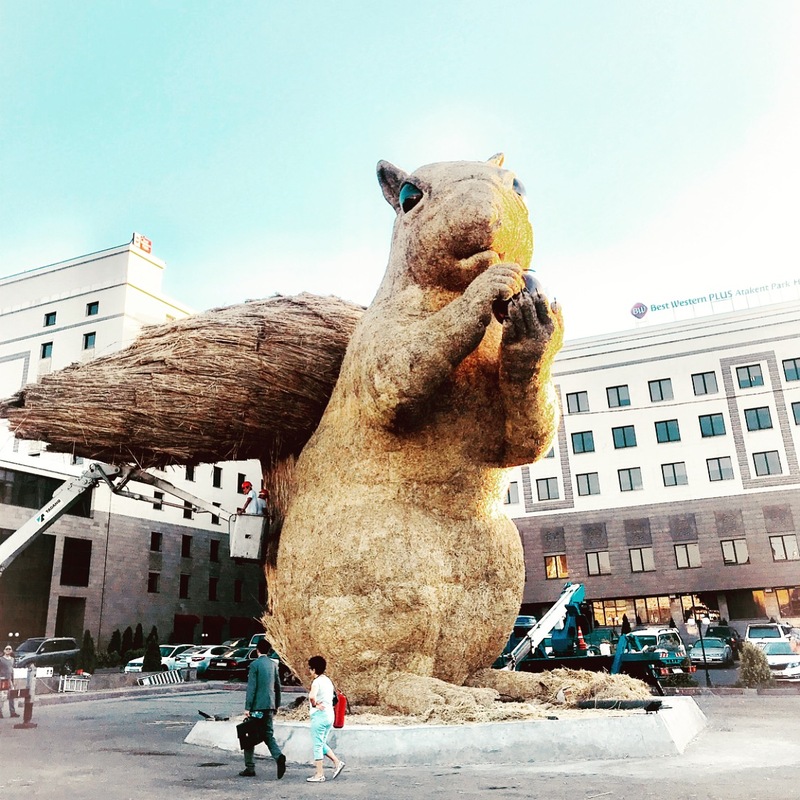 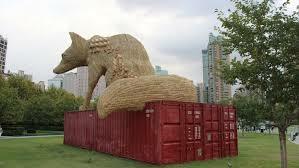 In the two years that Urban Fox has stood in Shanghai, pollution in the air has turned the straw black. 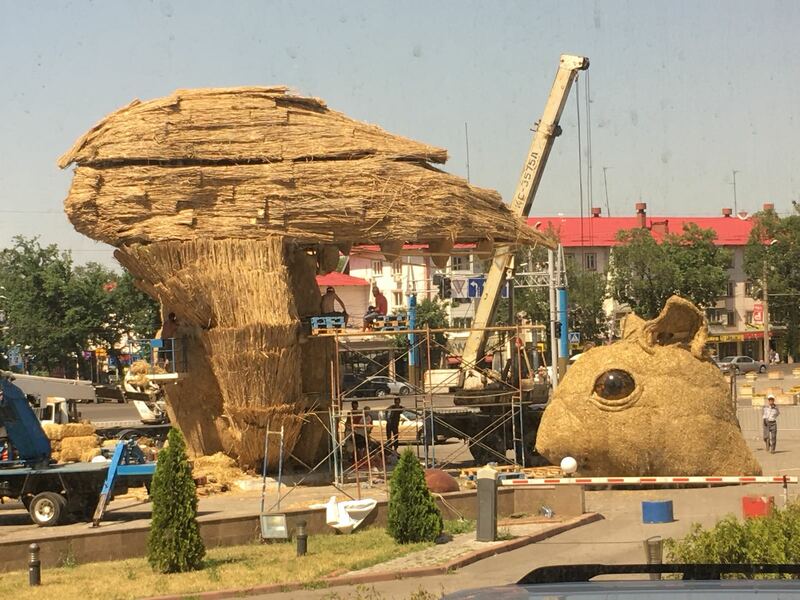 At the same time, four families of sparrows have made their homes in the structure. 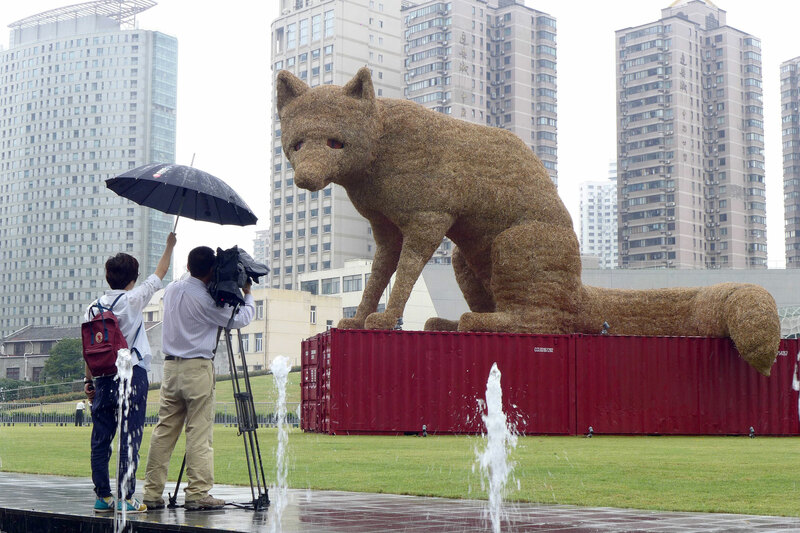 I wanted to celebrate their ingenuity for the 2016 Jing’an International Sculpture Project by turning the fox into a Hotel for Shanghai wildlife. 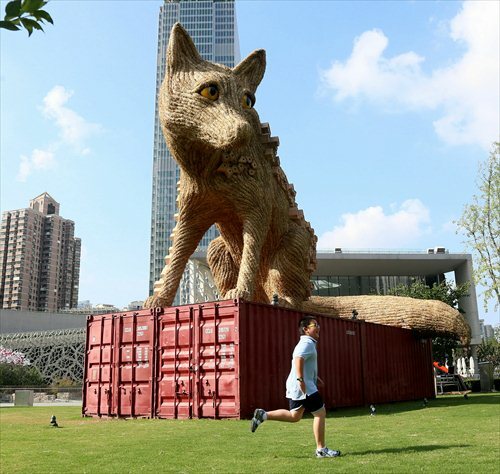 The relationship of the birds to the fox can become a metaphor for the relationship of people to the city of Shanghai. 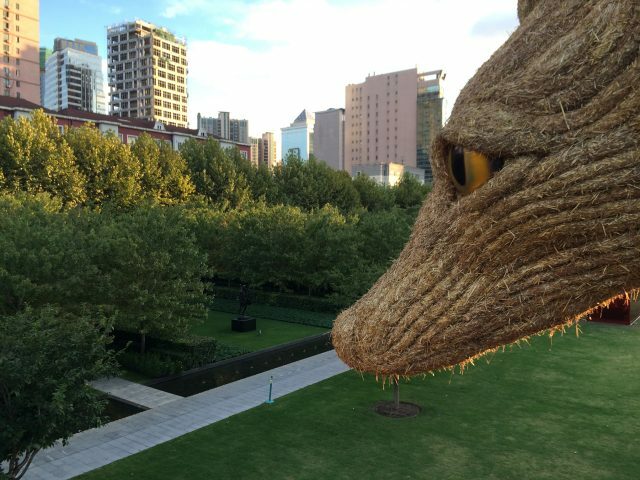 We partnered with Museum of Natural History and the Jing’an District government. 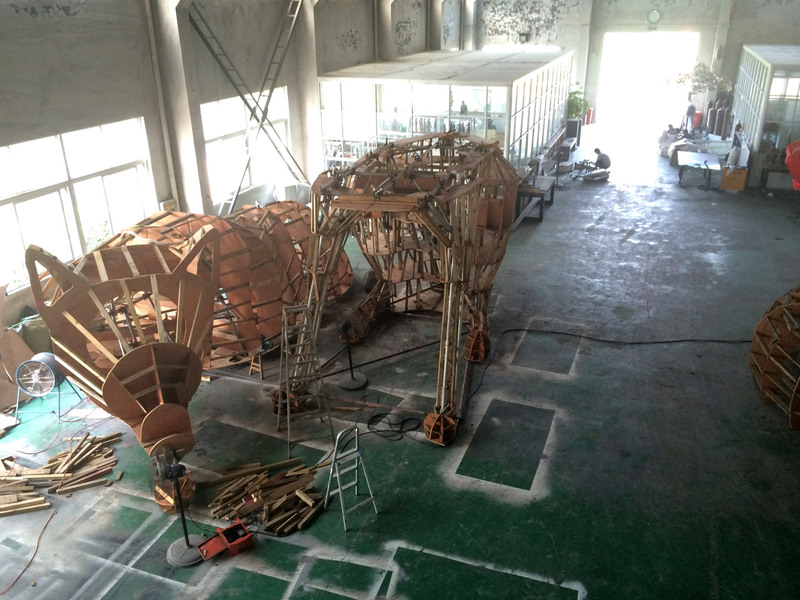 JISP 2016 runs from September 20 – November 20, 2016. 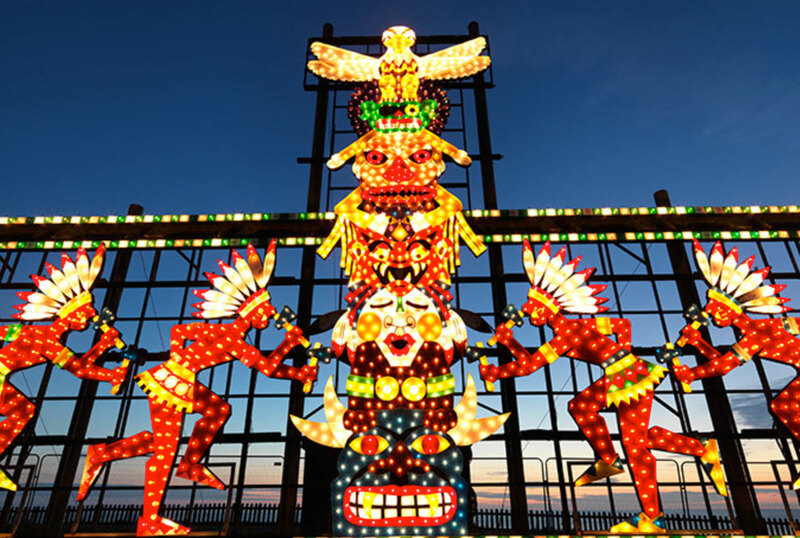 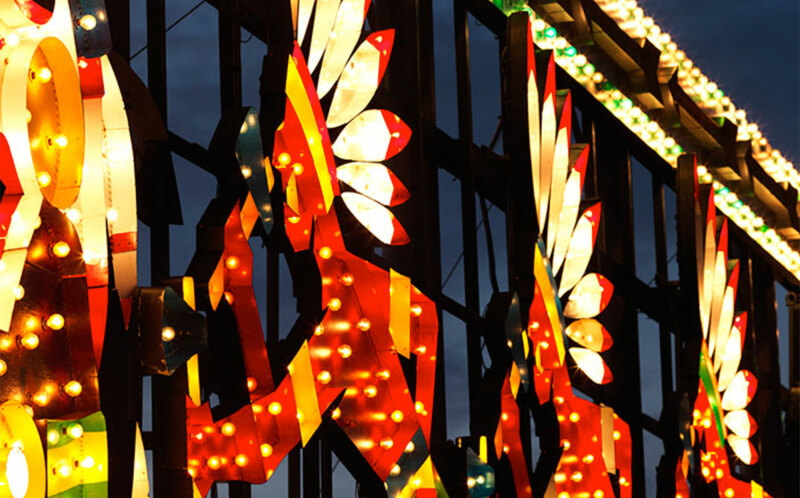 Blackpool Illuminations first began in 1879 and is the world's oldest free light show, going strong with nearly 4million annual visitors. 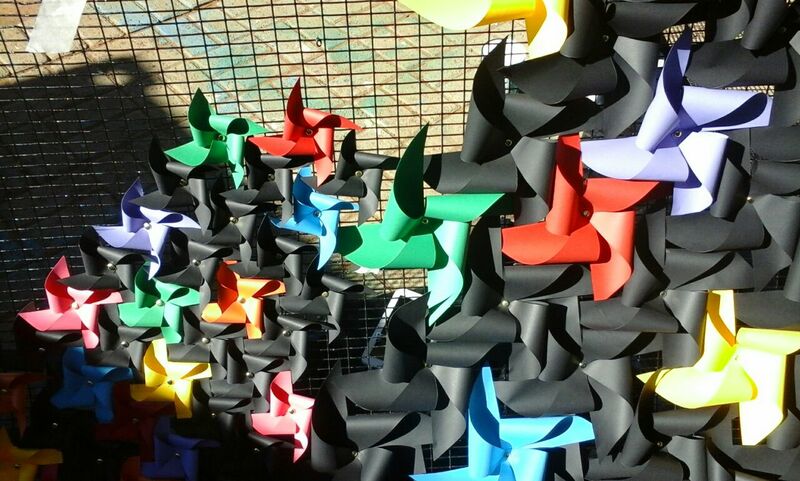 As Creative Lead my role is to ensure its future through creative innovation. 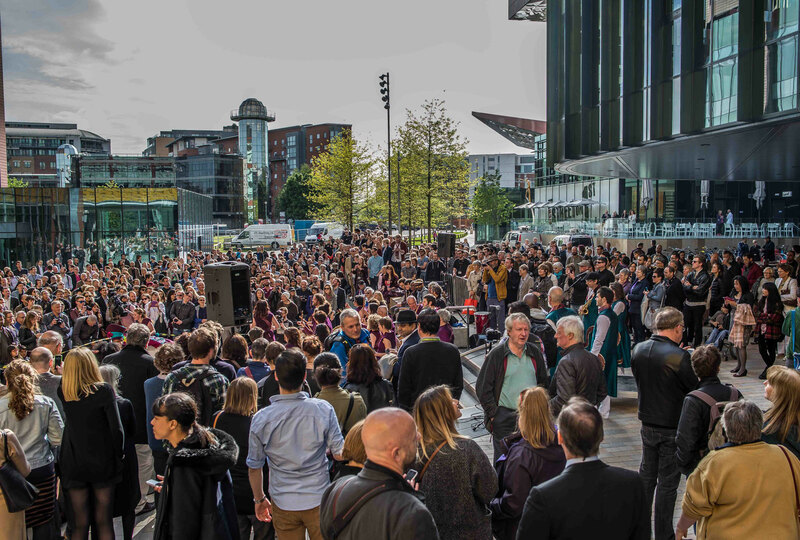 In 2016 we launched the LightPool Festival, October 28 - November 2, with the generous support of the Coastal Communities Fund and Arts Council England. 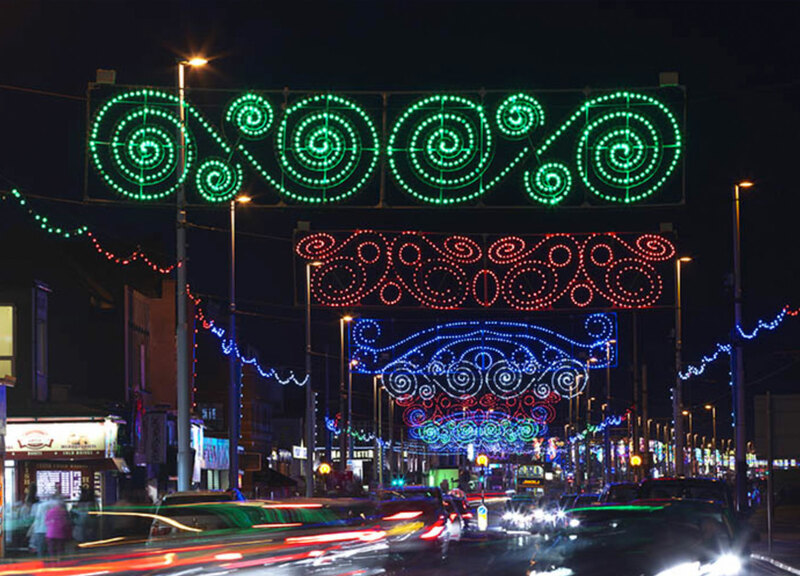 20-30 light art works transformed Blackpool town centre into a luminous playground for 50,000 visitors, with a nightly programme of light and fire performance art, and a conference to boot. 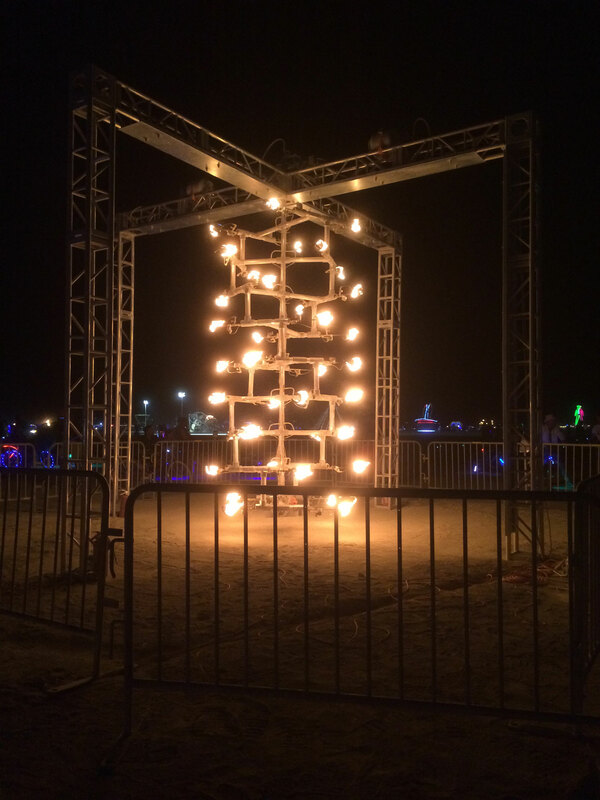 An 8m portal appeared overnight in the middle of the city. 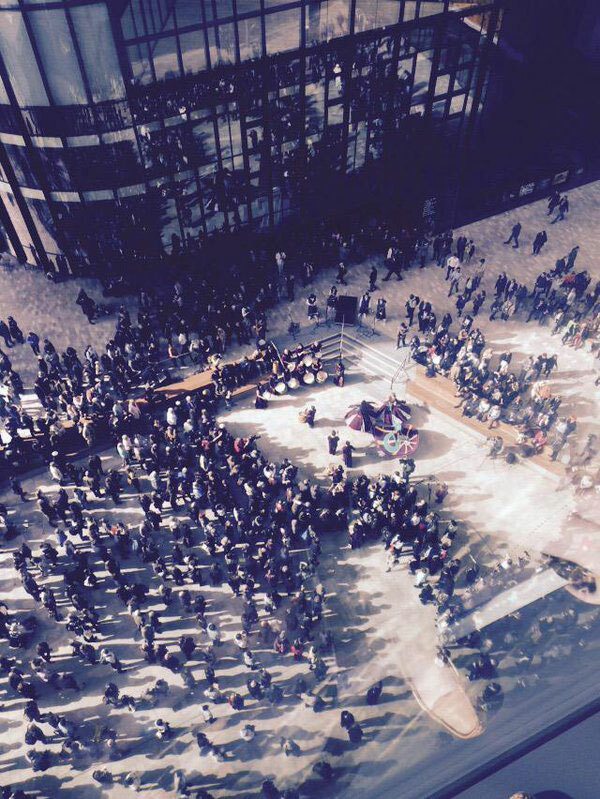 Over the course of six hours, people emerged from the top, bewildered and displaced. 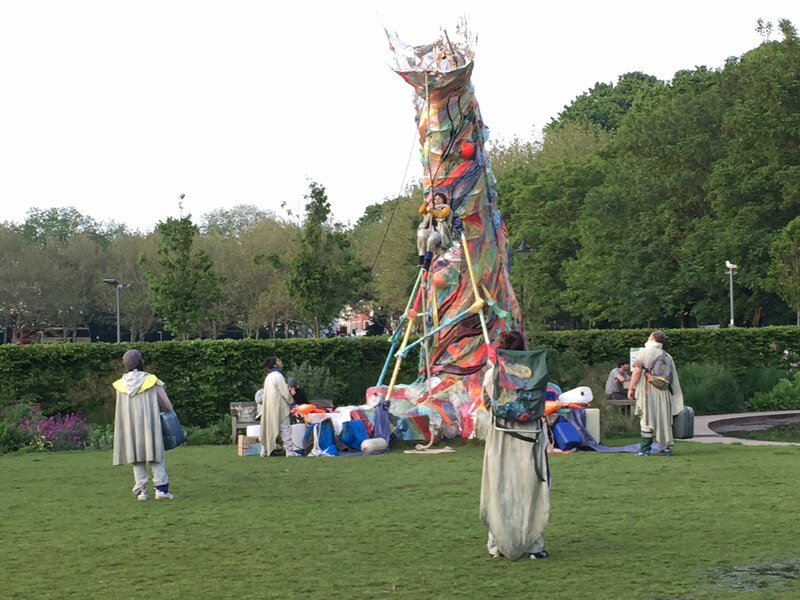 The durational performance by acclaimed outdoor theatre company Tangled Feet was two years in the making, a comment on global inequality and migration. 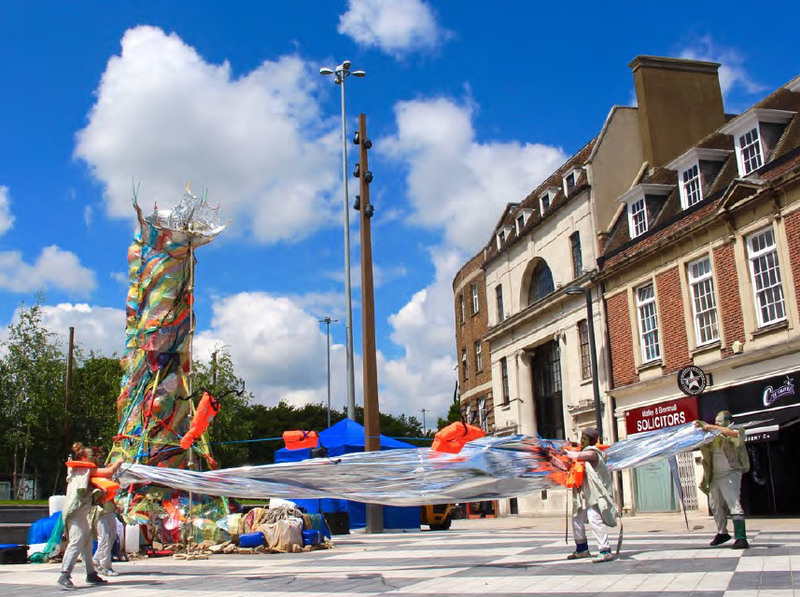 Emerge/ncy showed at the Imagine Watford Festival, the Greenwich Docklands International Festival and the Brighton Festival. 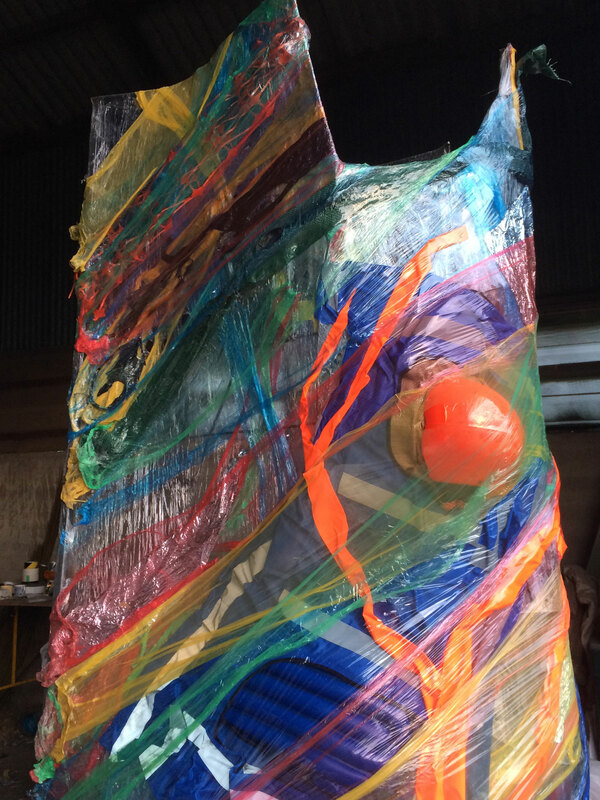 Designed and made with Mike de Butts from Shipshape Arts, over two months. 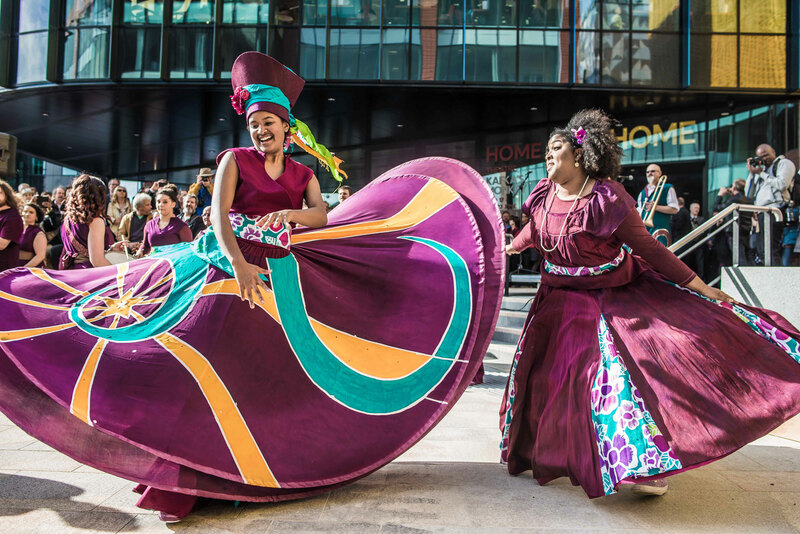 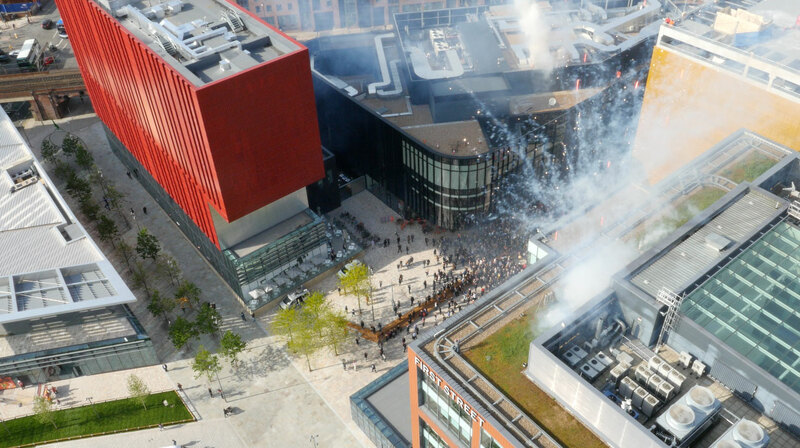 The opening festival for HOME in Manchester brought together 28,000 people over five days to celebrate the city’s £25million investment in a new cultural centre, the amalgamation of the much-loved Cornerhouse and Library Theatre companies. 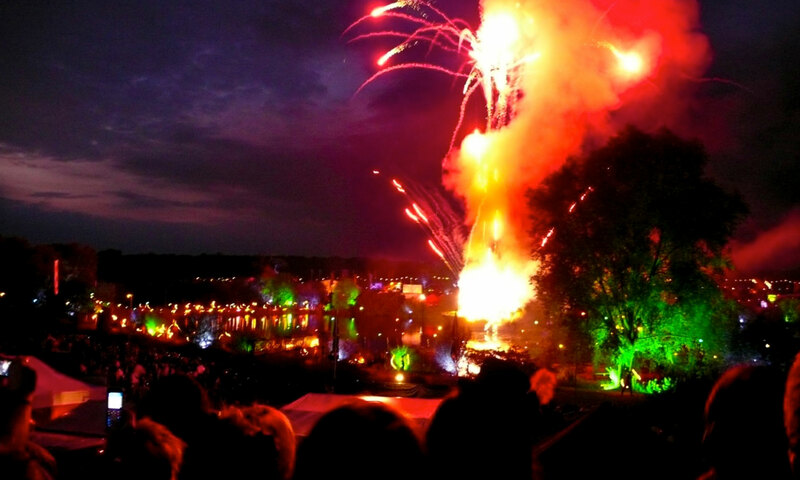 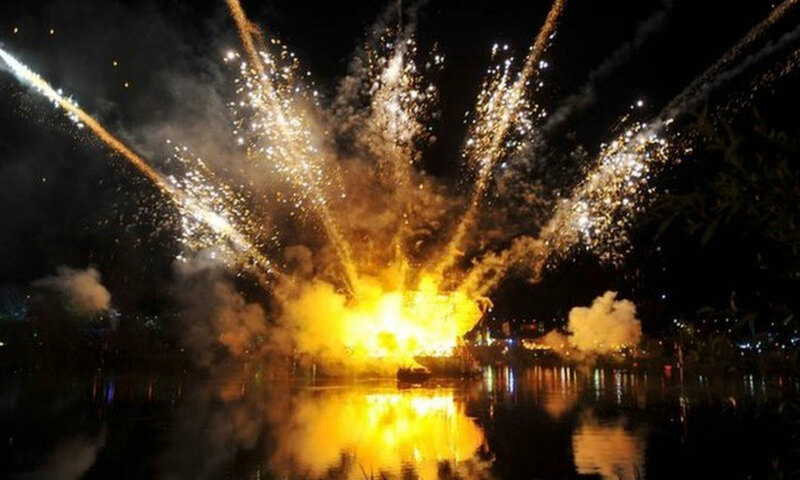 Patron Danny Boyle opened proceedings with performances from Juba do Leao and daytime fireworks from pa-Boom. 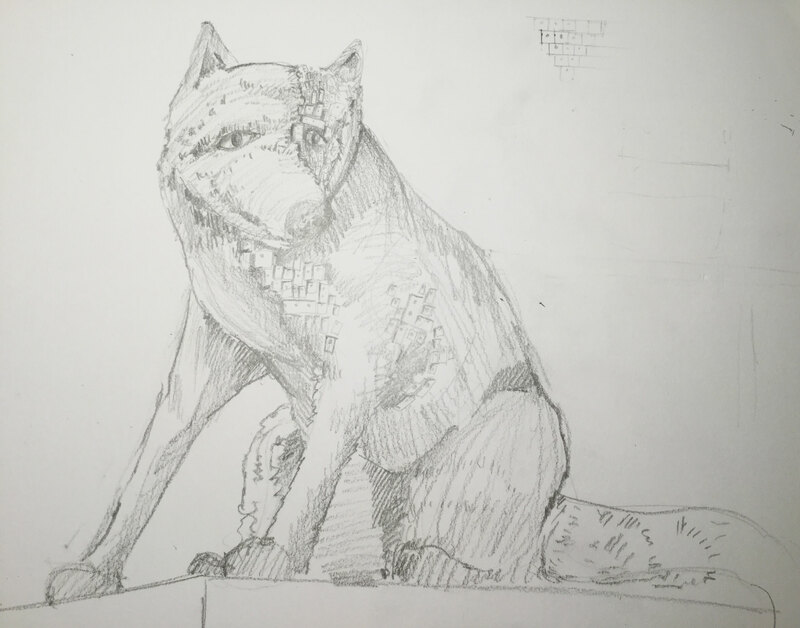 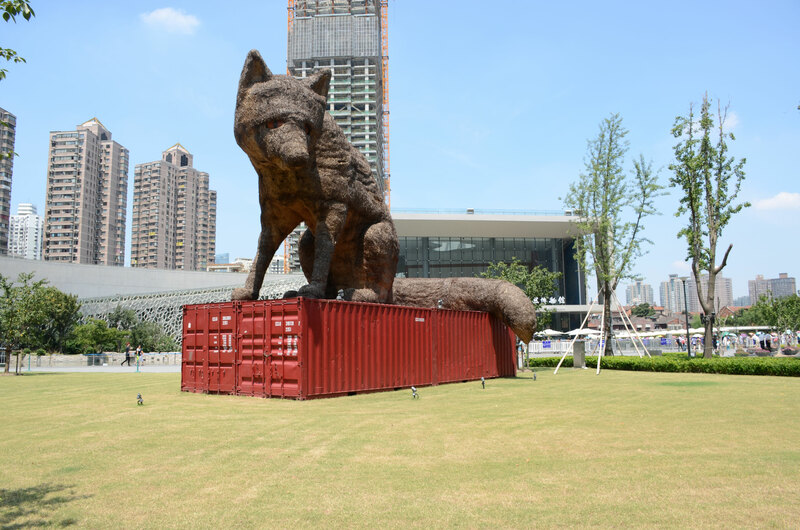 I was invited to present Urban Fox at the Jing’an International Sculpture Project (JISP) in Shanghai, China. 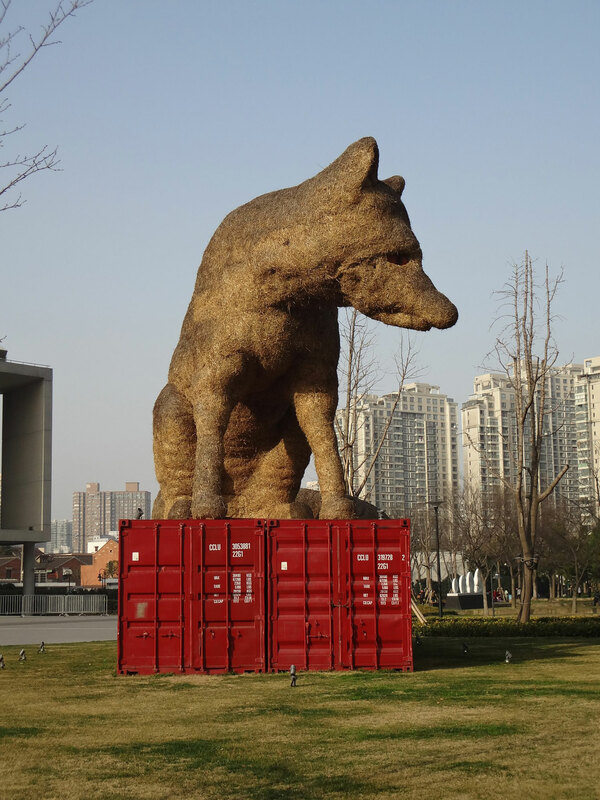 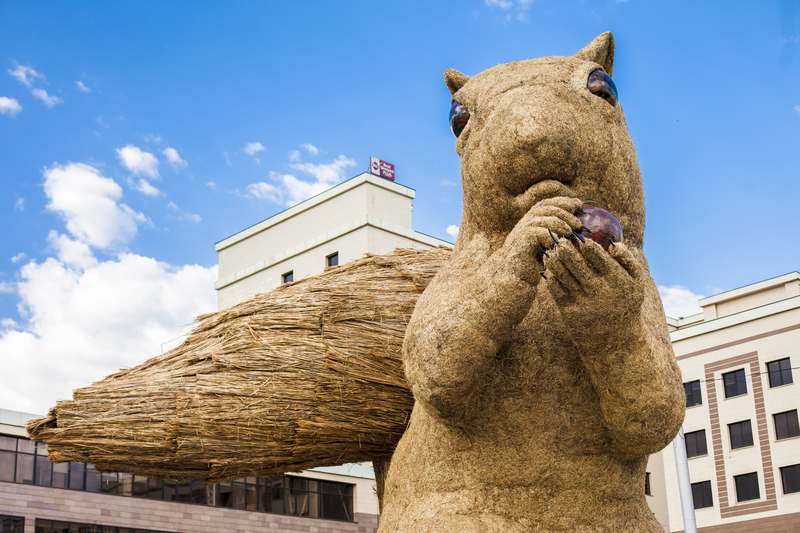 JISP is China’s only biennial of public art, with Urban Fox the only commissioned work. 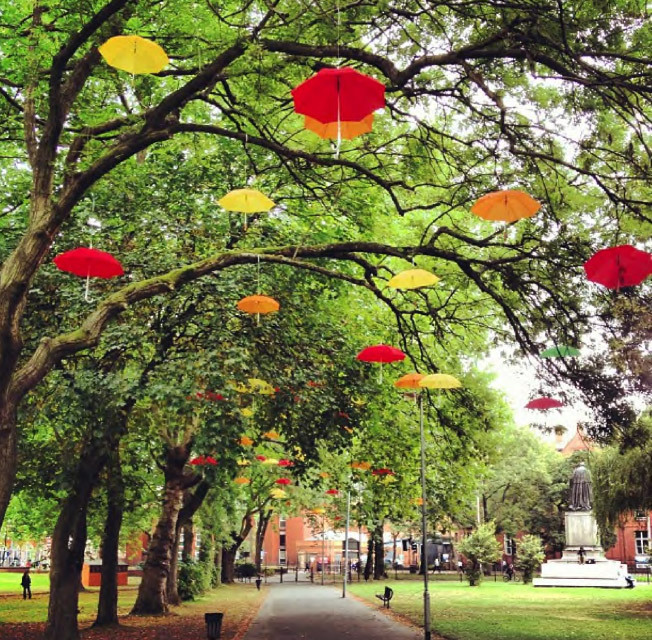 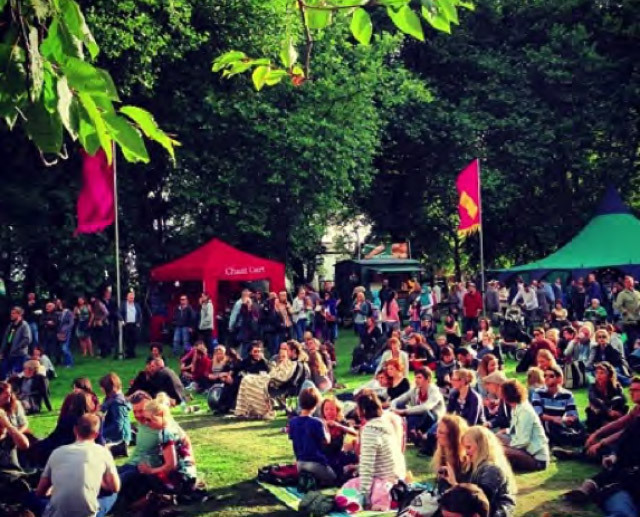 For the temporary closure of the Whitworth Art Gallery in 2013, I curated and produced Whitworth Weekending, a free festival in Whitworth Park, to say thank you to all the communities who are part of the gallery. 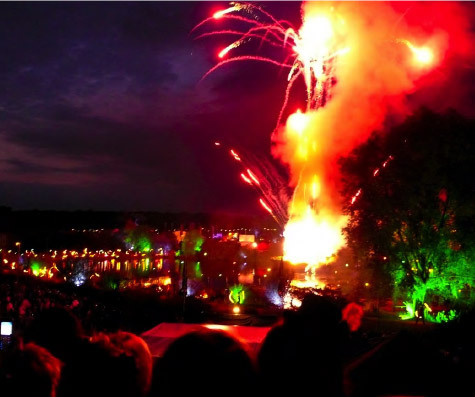 23,000 people attended over three days. 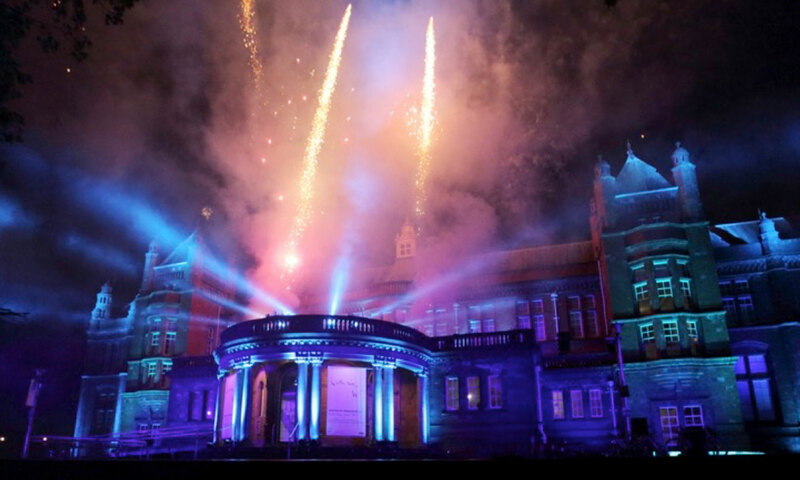 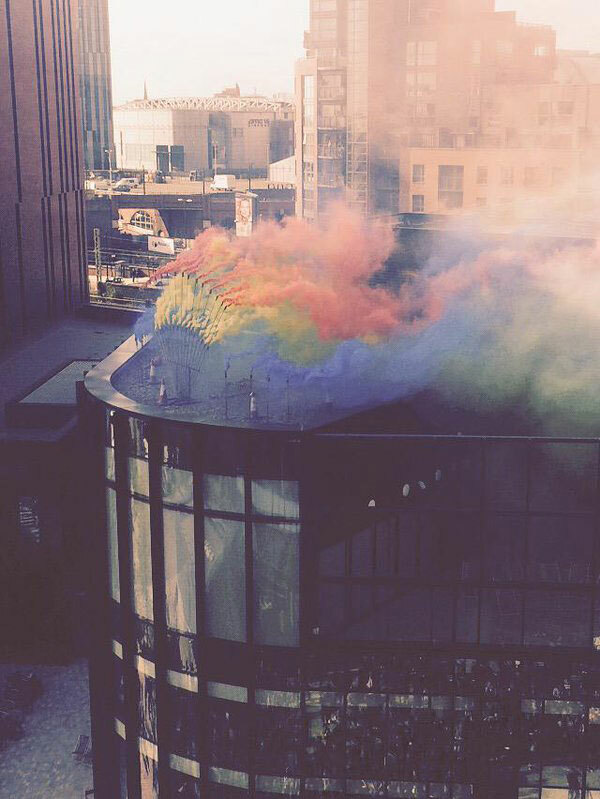 The new Whitworth has gone on to become the Museum of the Year in 2015. 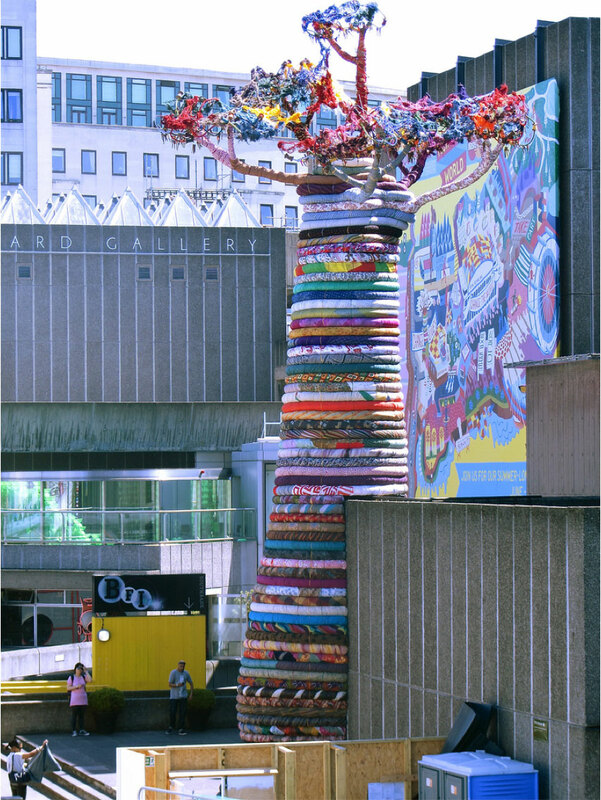 Under the Baobab stood 15metres tall, next to Waterloo bridge in London. 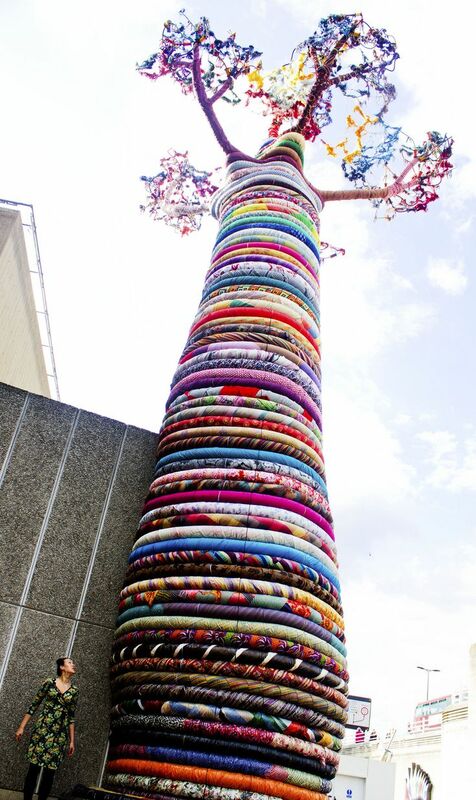 Made with the Masters students of Textile Design at Chelsea College of the Arts (now University of London), the 31 students from 24 countries created 20m of fabric each to represent their migration to London. 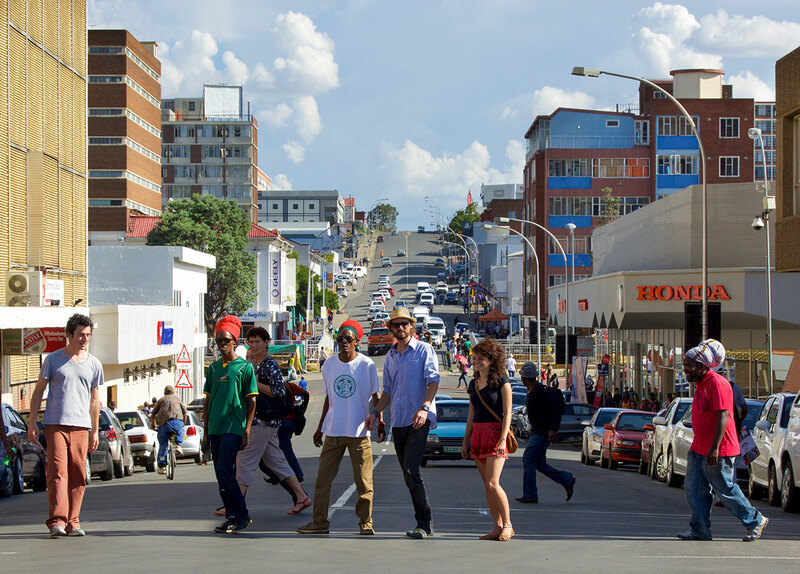 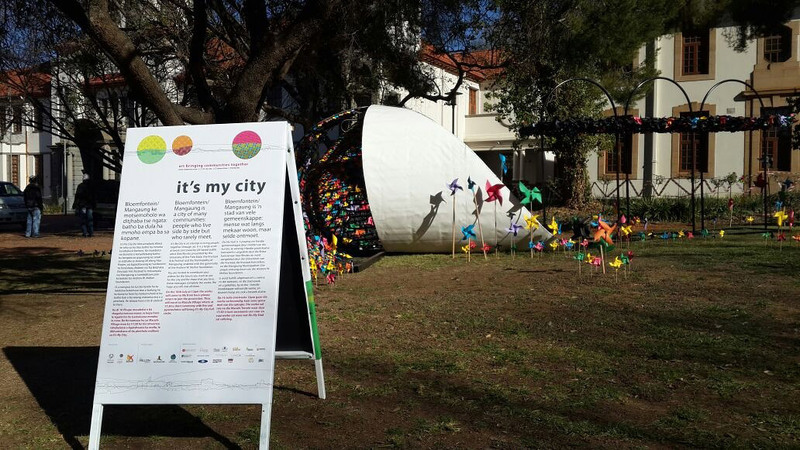 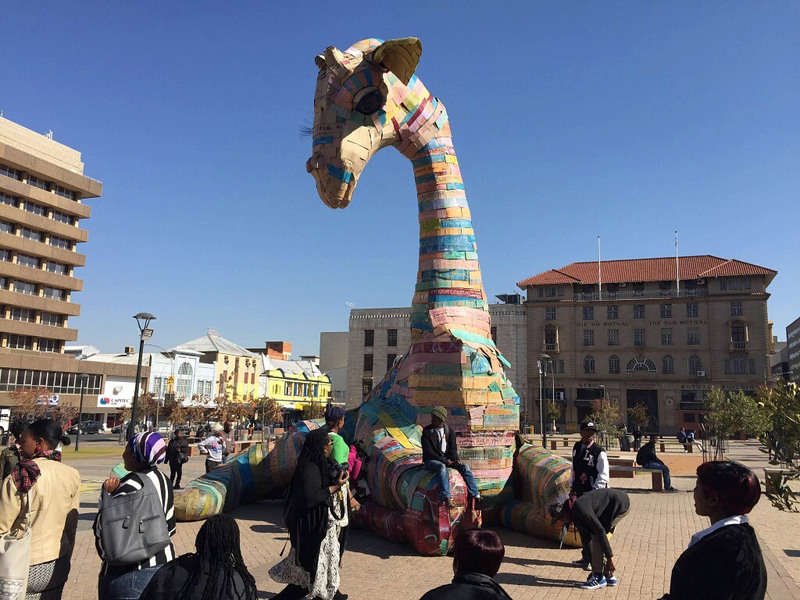 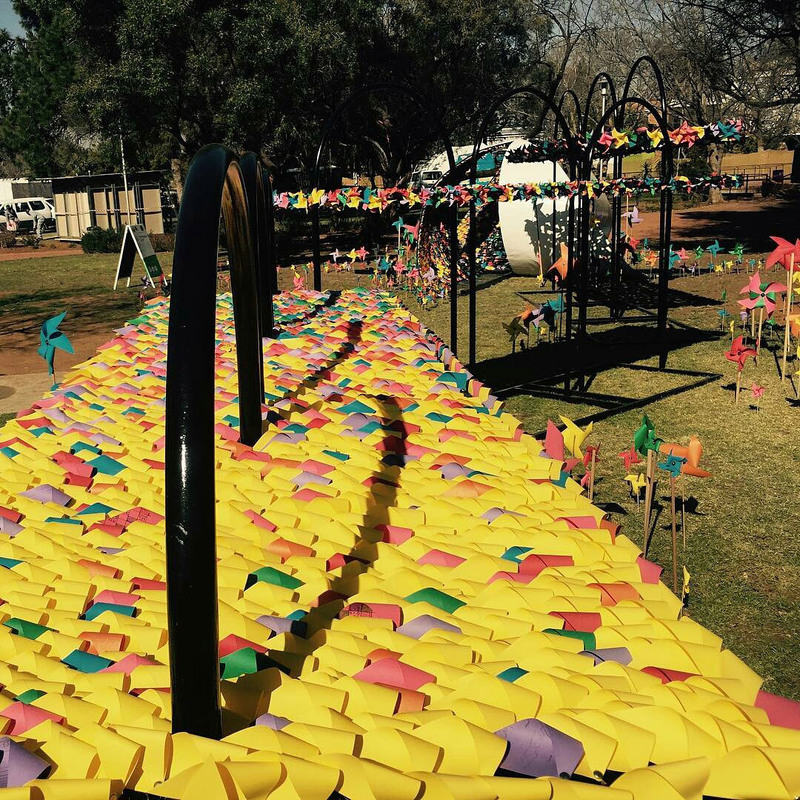 The resulting work became a colourful icon for peace and community. 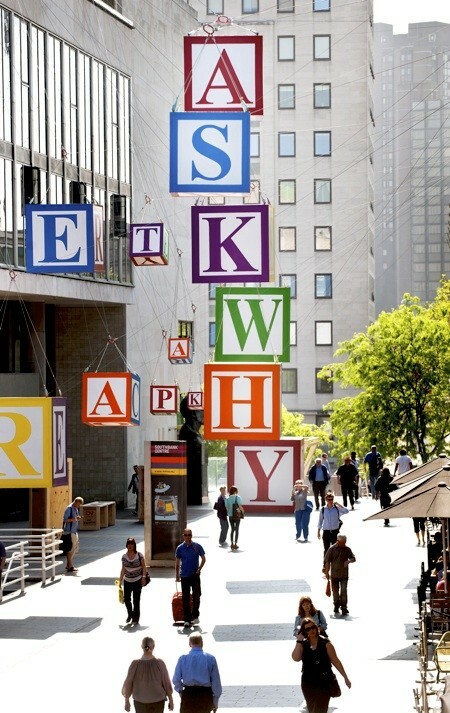 We shaped the conceptual framework for the Festival of the World, Southbank Centre’s outdoor 2012 summer programme, around Pierre de Courbetin’s philosophy. 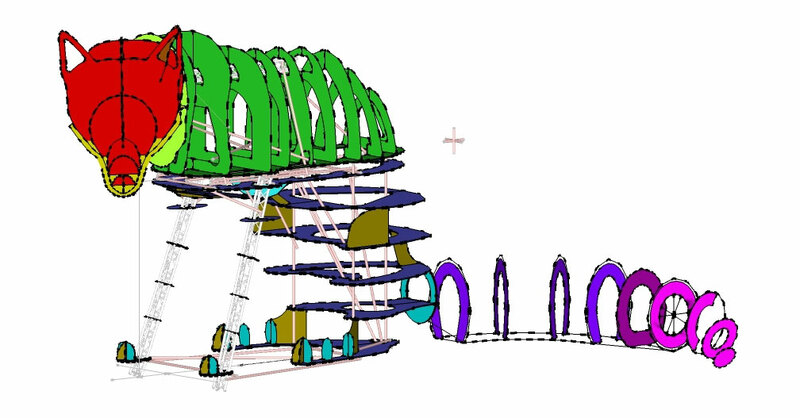 As artist I created Under the Baobab with Pirate Technics, and as producer commissioned nine outdoor sculpture projects. 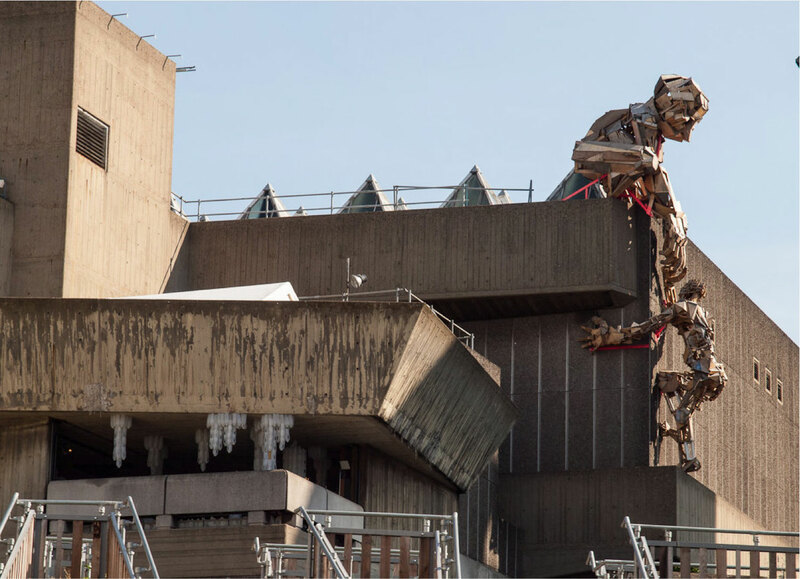 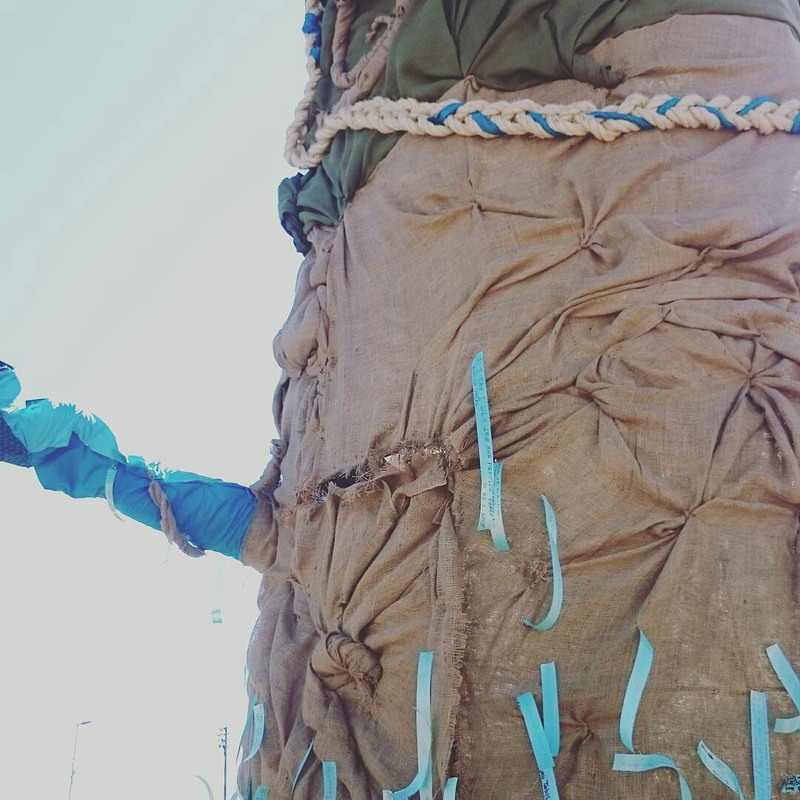 Created by Robots Collective, the giant figures scaling the Hayward Gallery were made from discarded wood with young people at Oasis Children’s Venture. 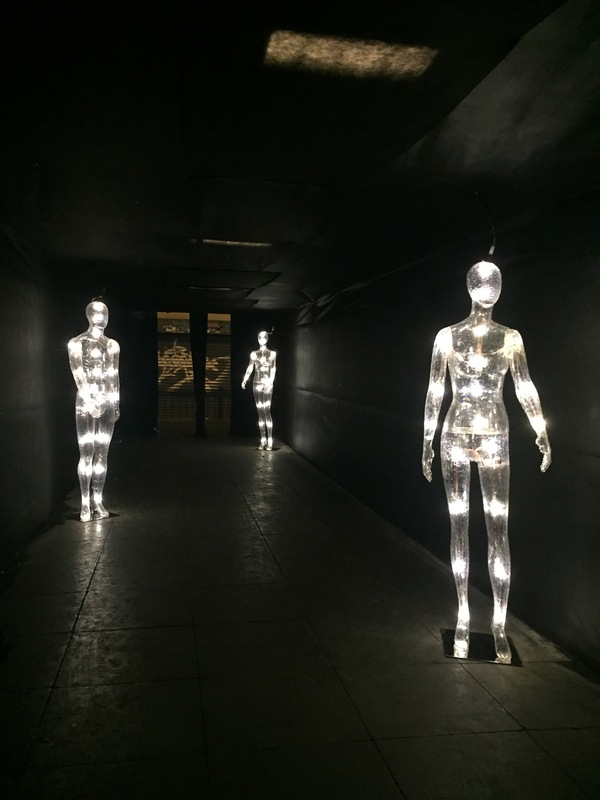 You weren’t sure who was helping whom – similar to the process between teachers and students when it comes to creative work. 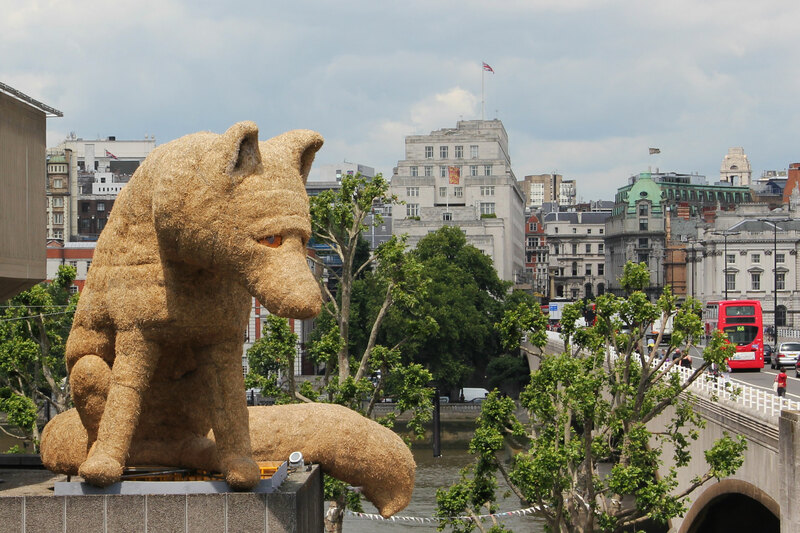 Urban Fox, commissioned by Cathy Mager in 2011, captured people’s imaginations, finding its way into the New York Times, James Bond’s Skyfall and elsewhere. 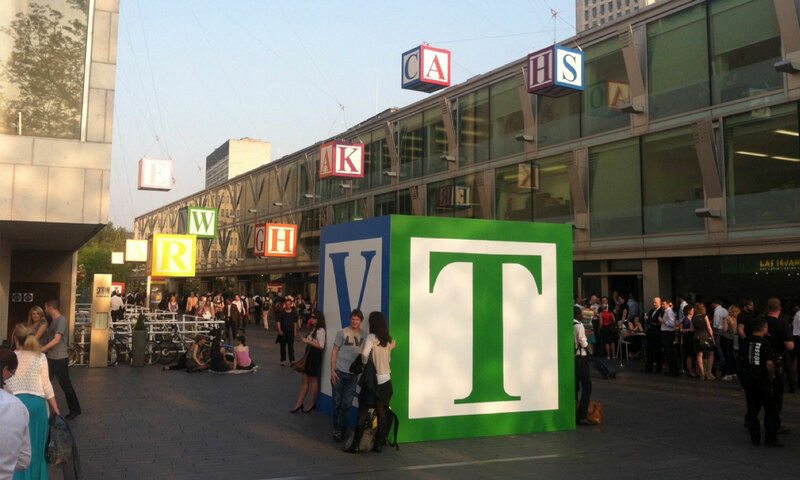 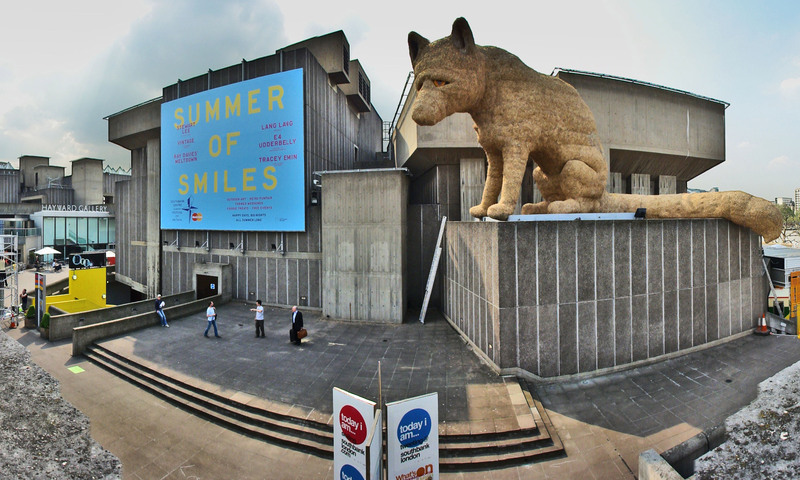 The work symbolized what it meant to be British in 2011, 60 years on from the 1951 Festival of Britain. 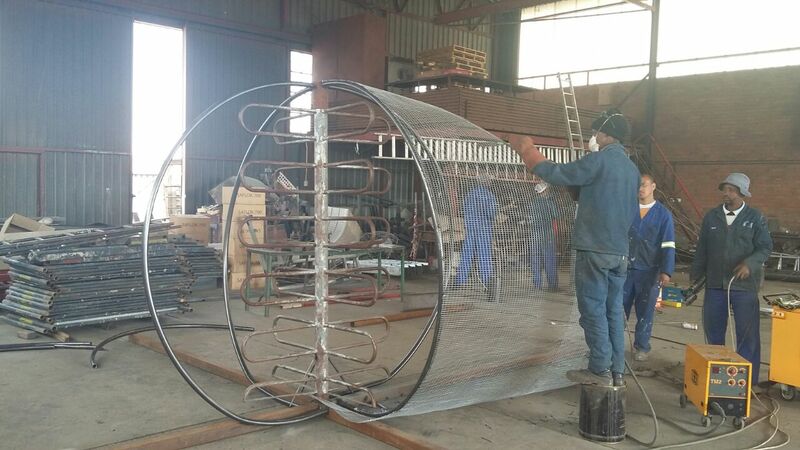 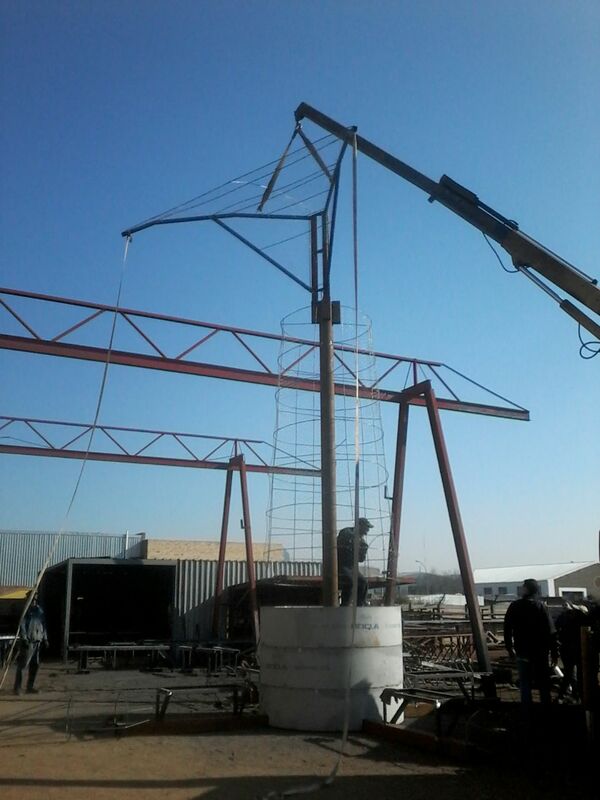 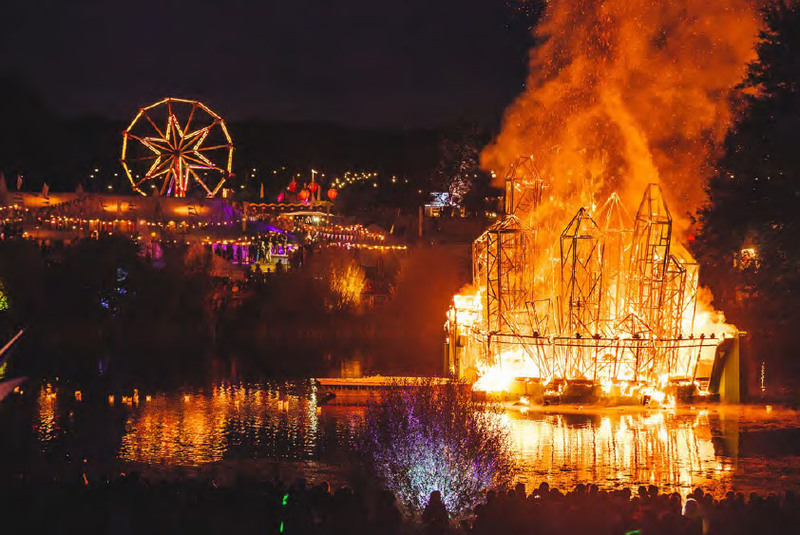 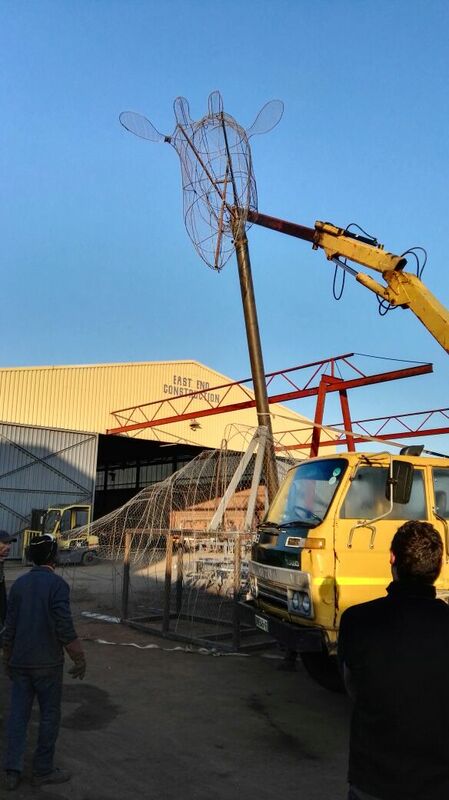 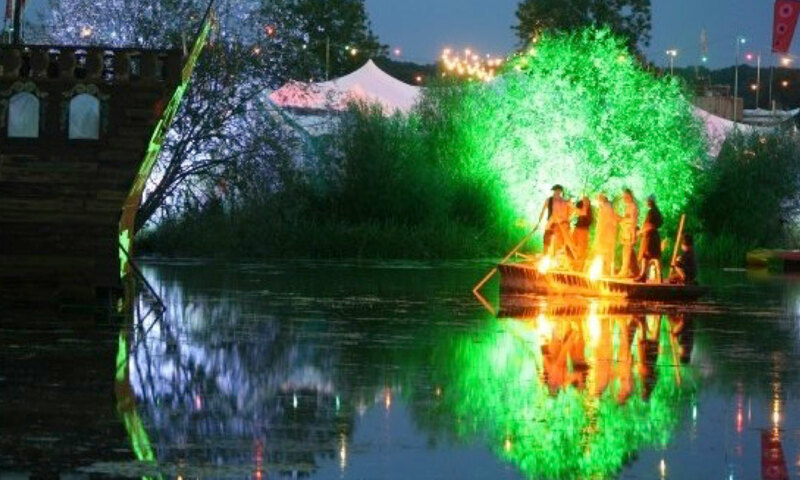 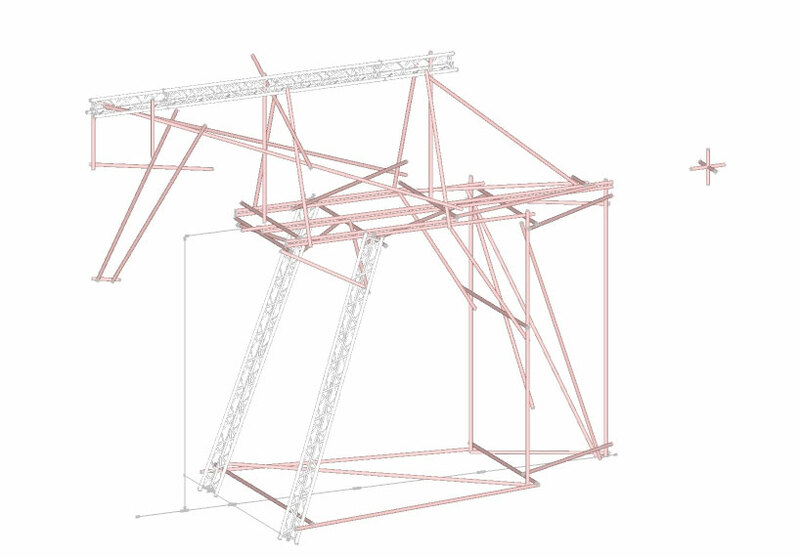 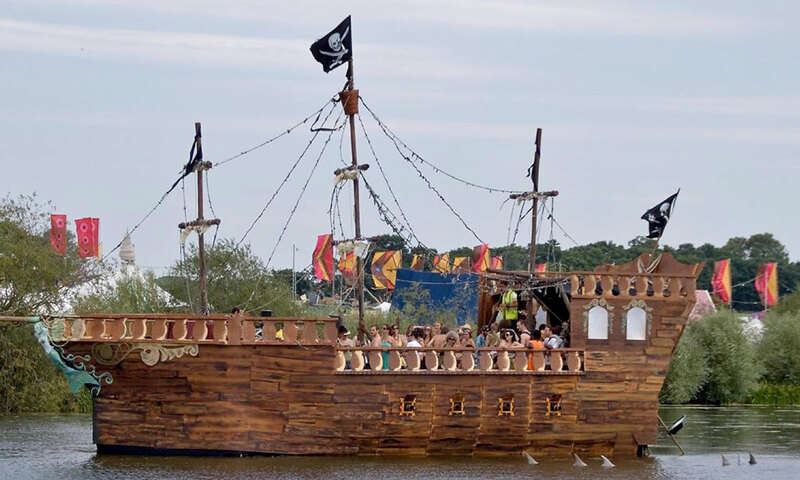 I started Pirate Technics with Mike de Butts, to build and burn stages for music festivals. 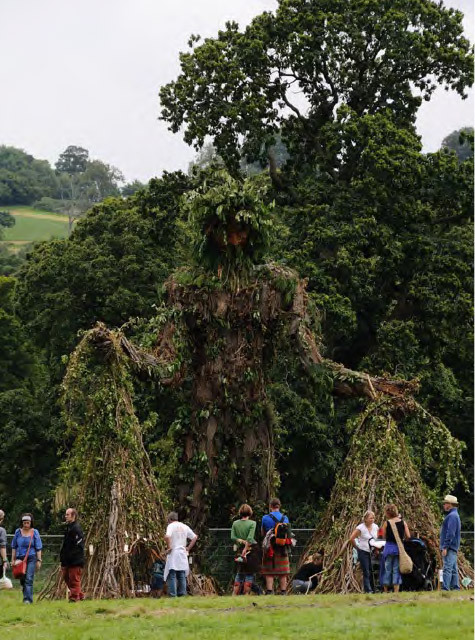 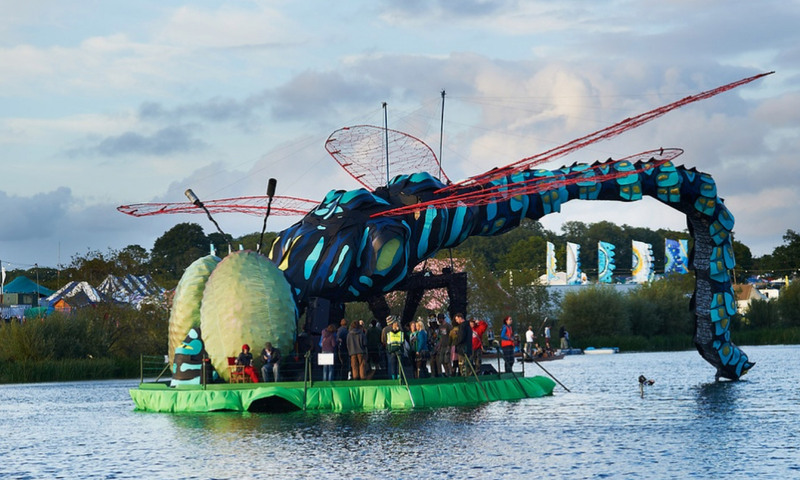 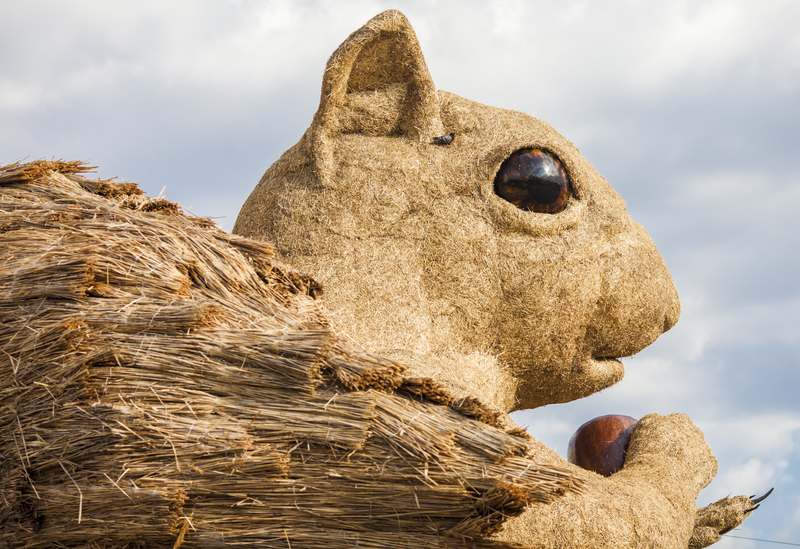 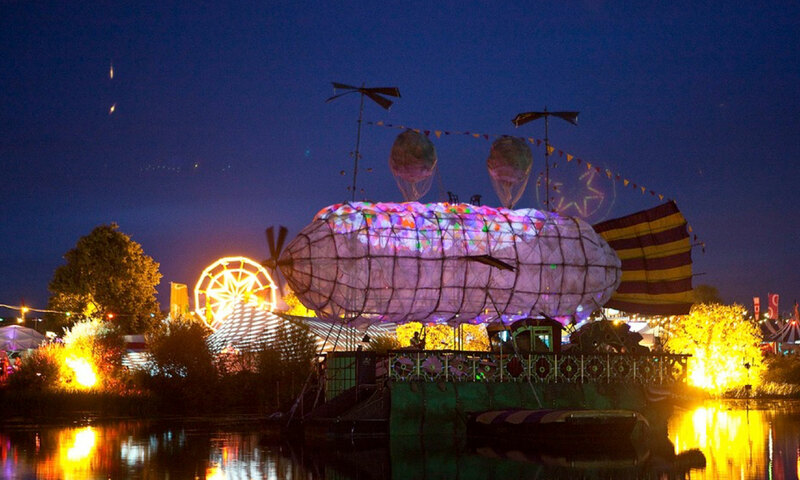 We made more than a dozen large-scale installations at Secret Garden Party, Green Man, Shambala, Glade and elsewhere.